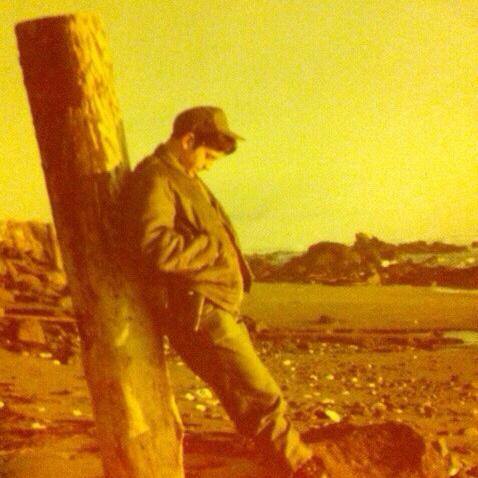 The 1970's were a transition decade. 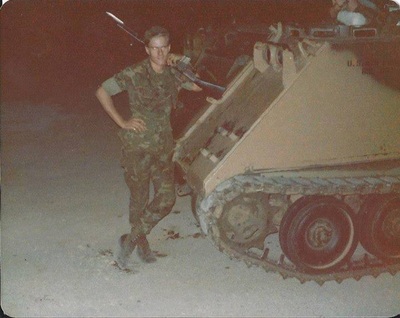 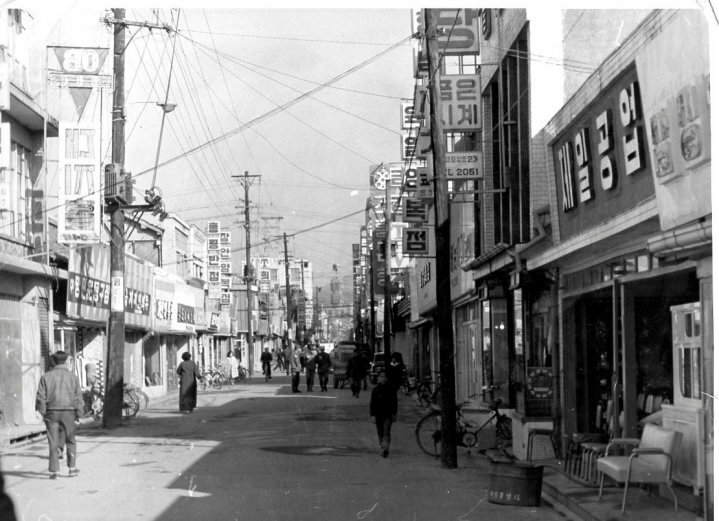 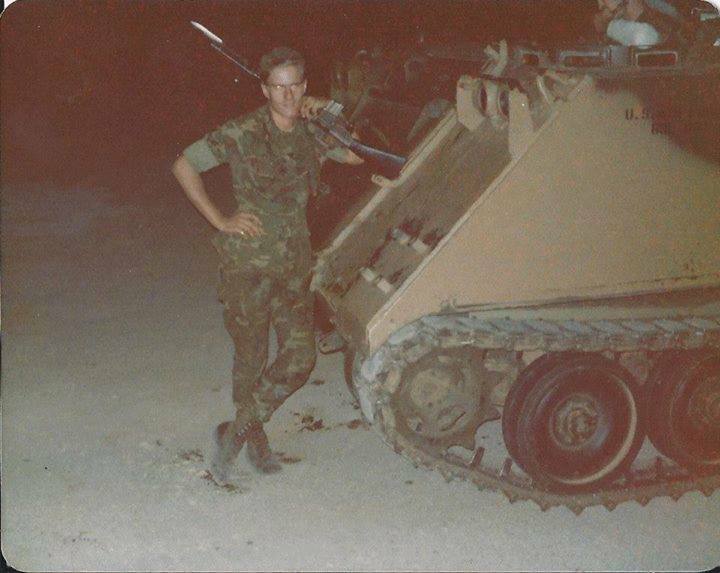 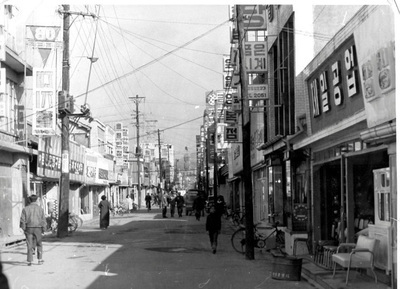 From 10 years of conflict in SE Asia back to concentrating on the cold war. 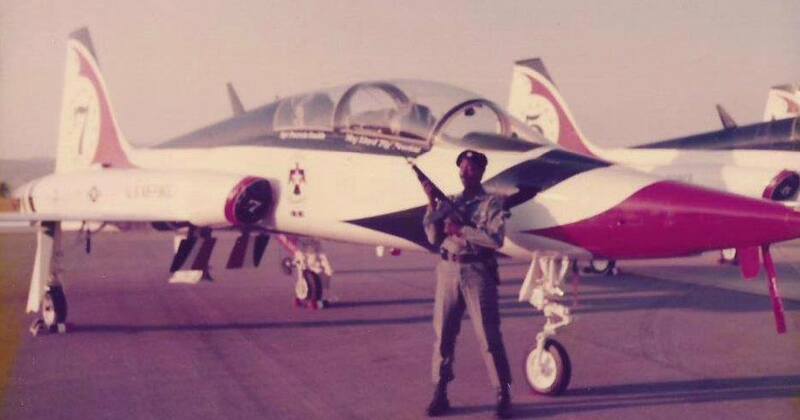 Moving from a drafted security force to an all volunteer Air Force. 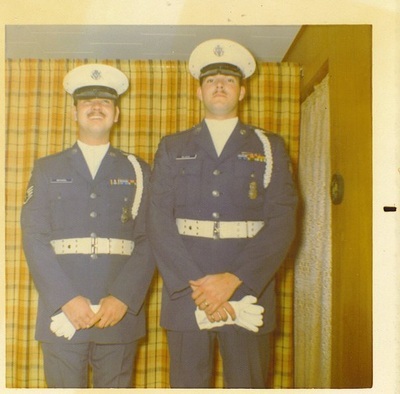 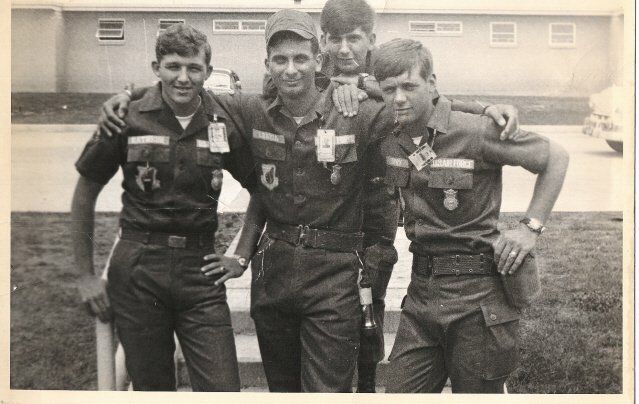 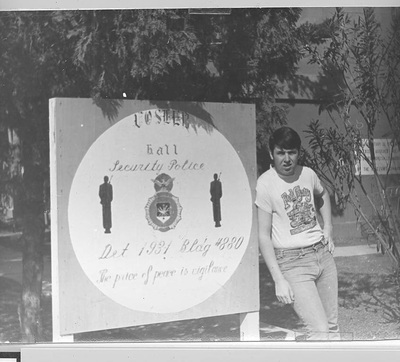 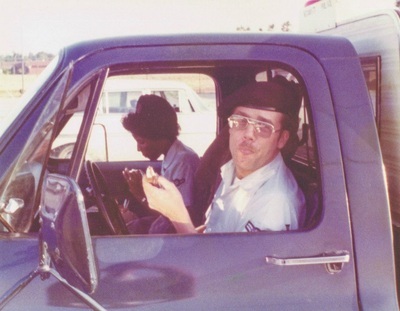 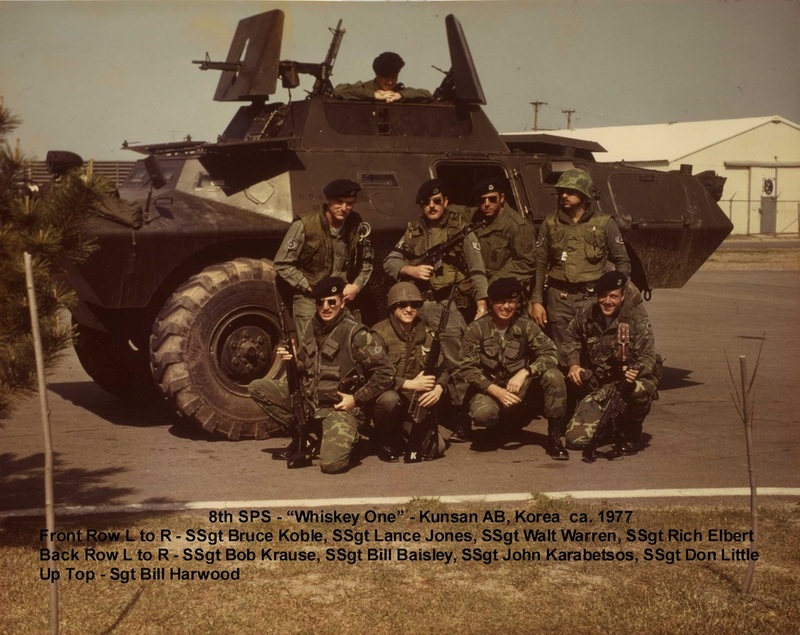 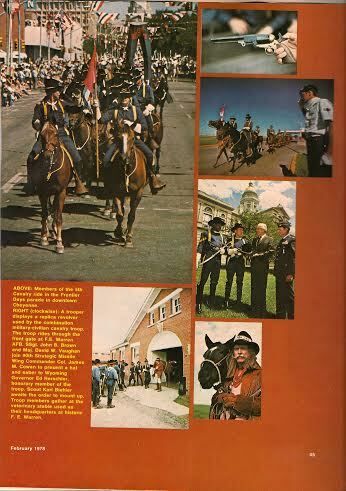 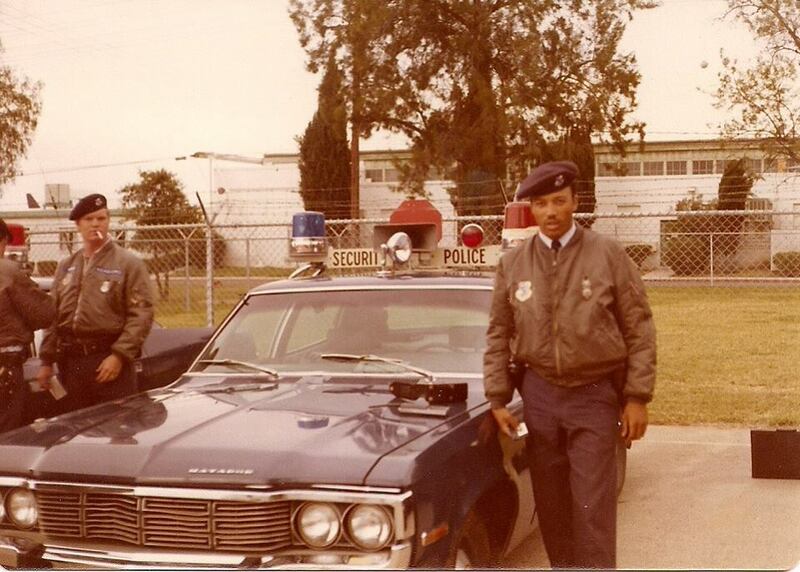 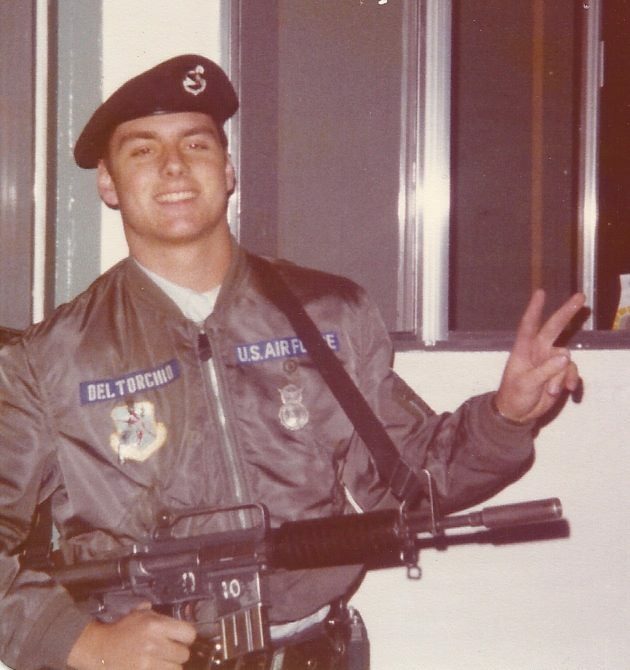 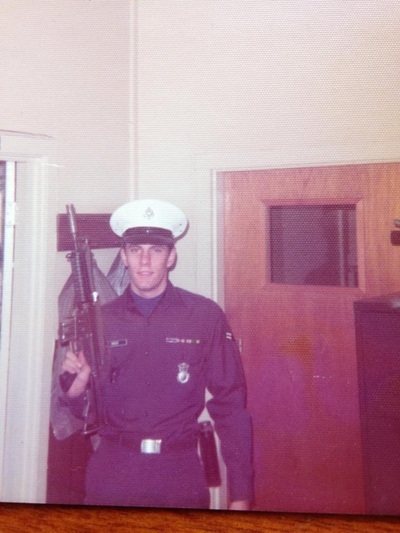 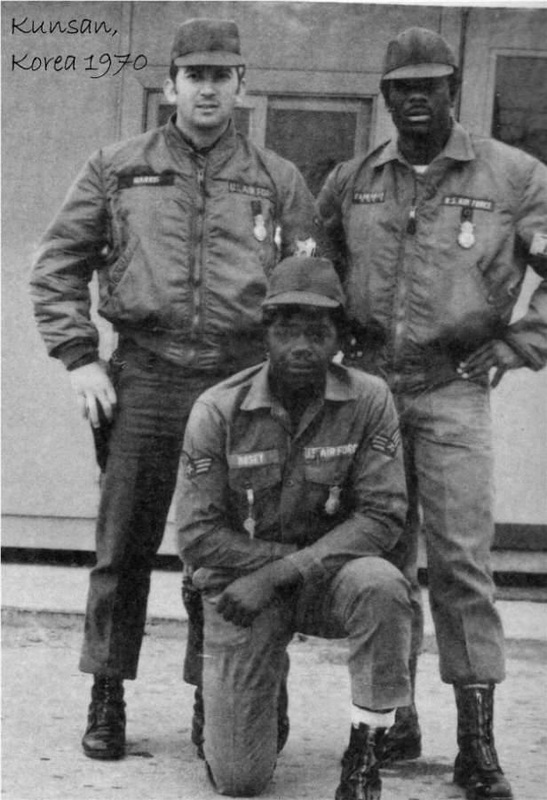 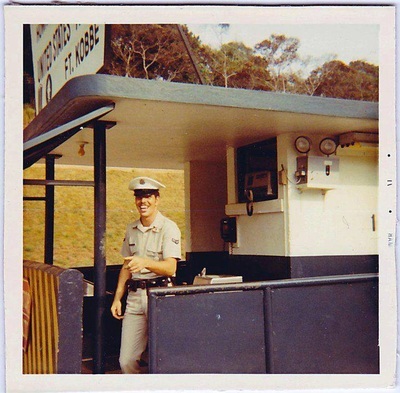 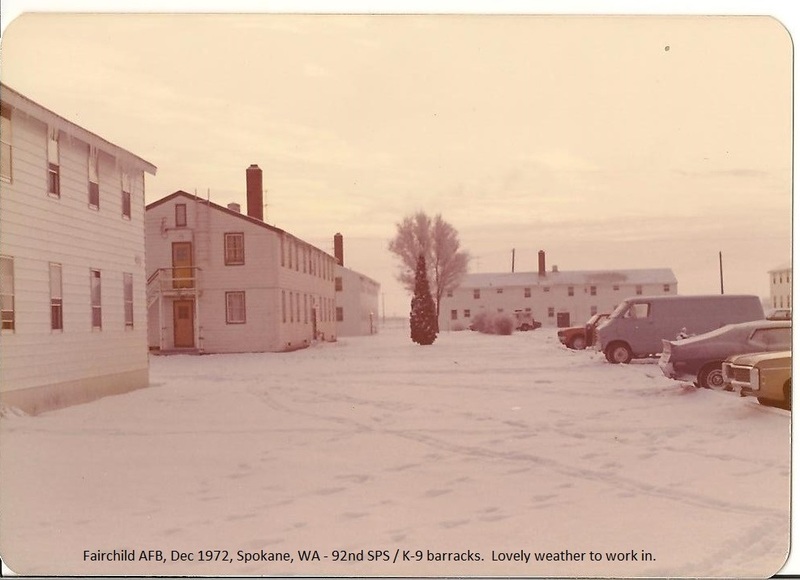 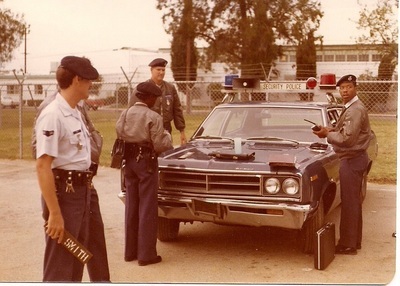 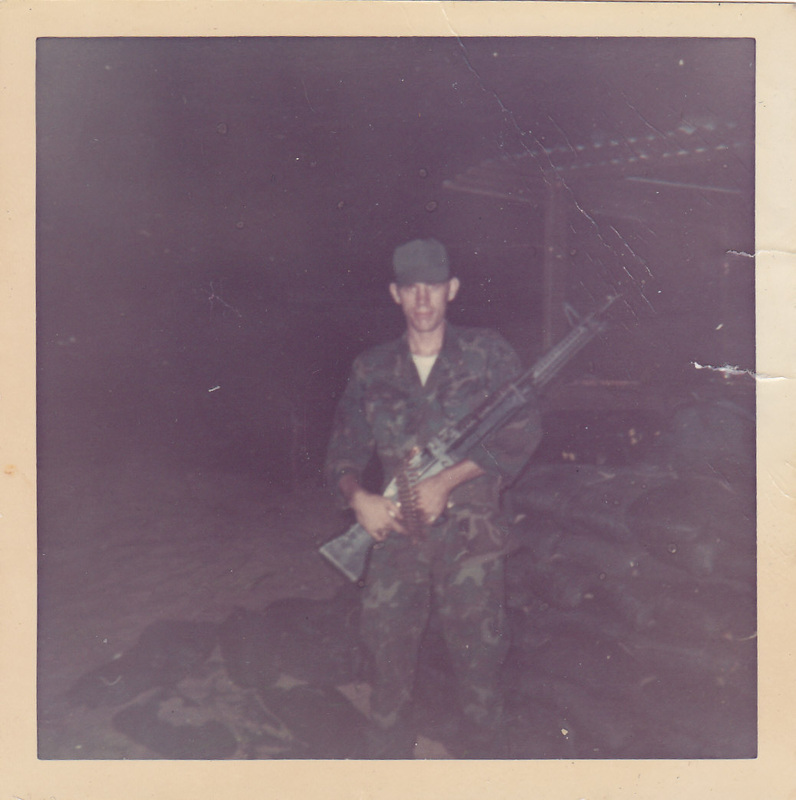 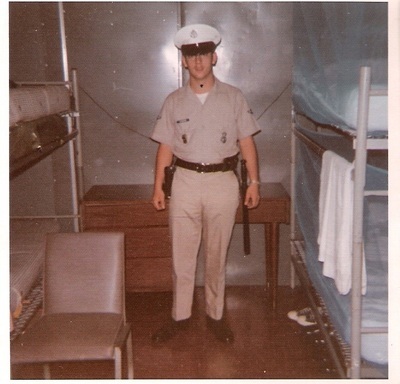 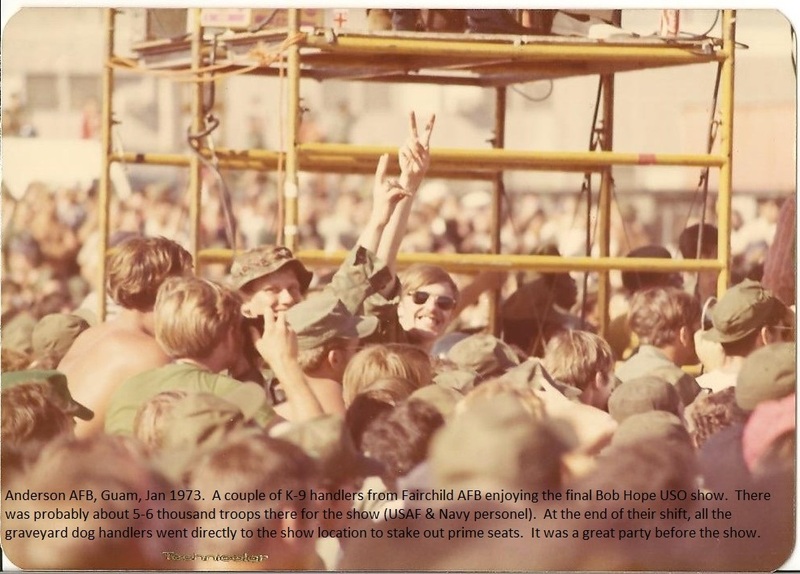 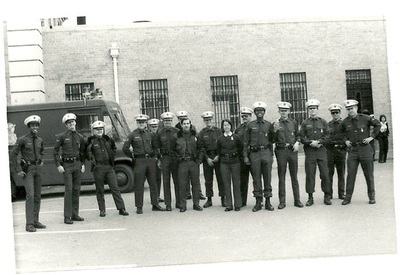 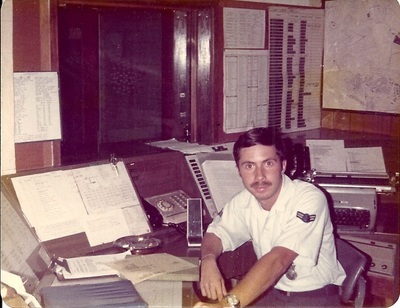 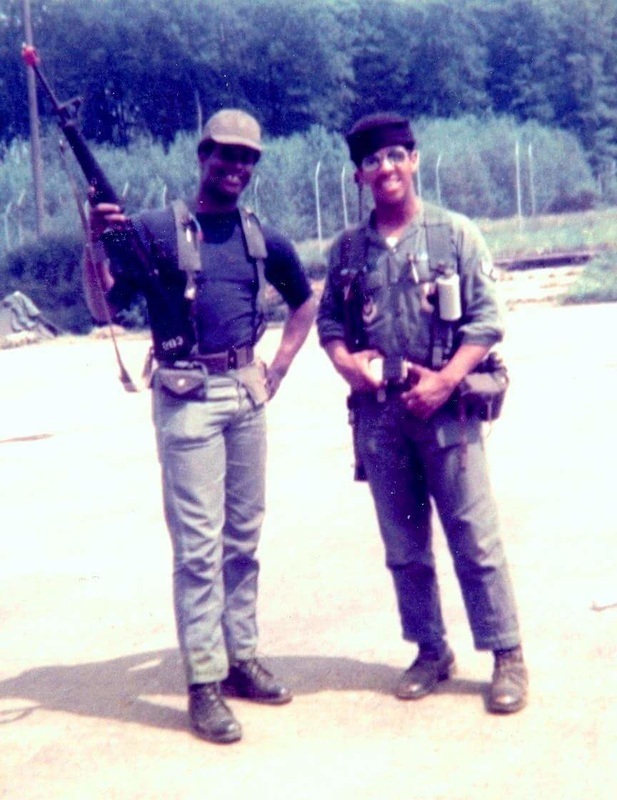 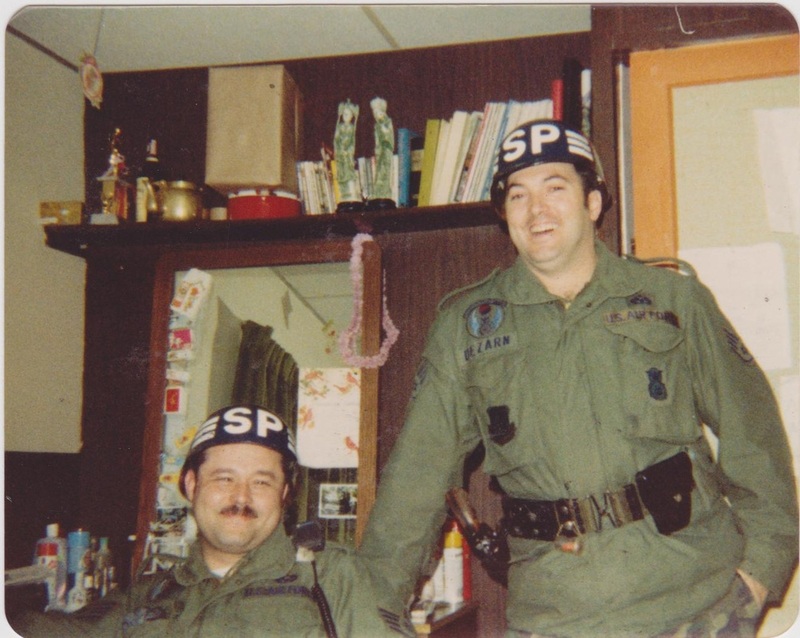 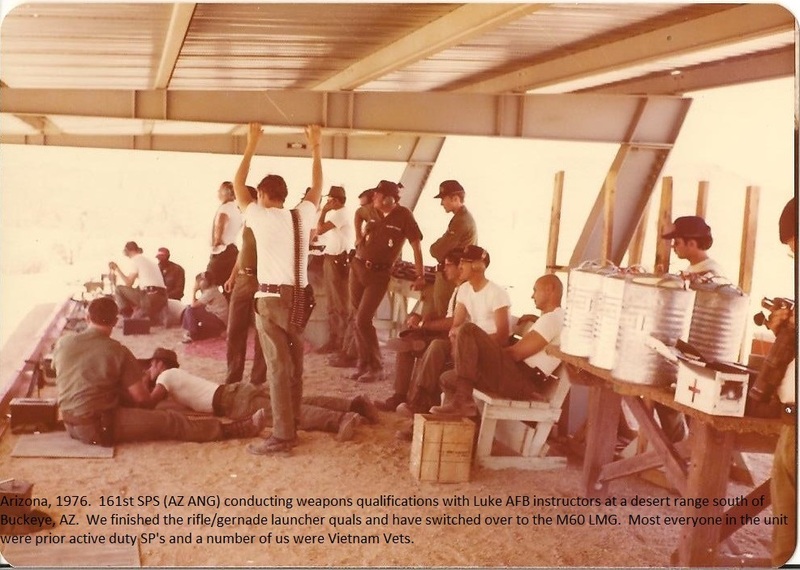 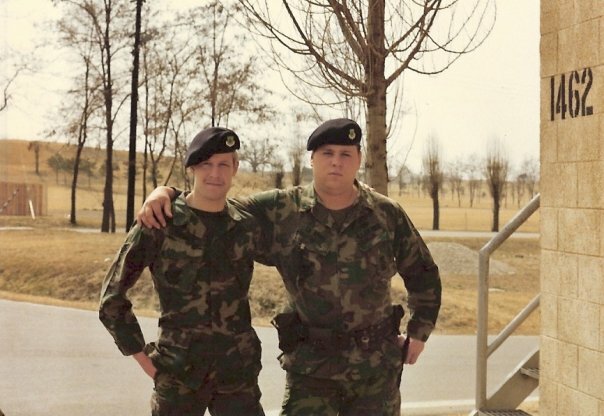 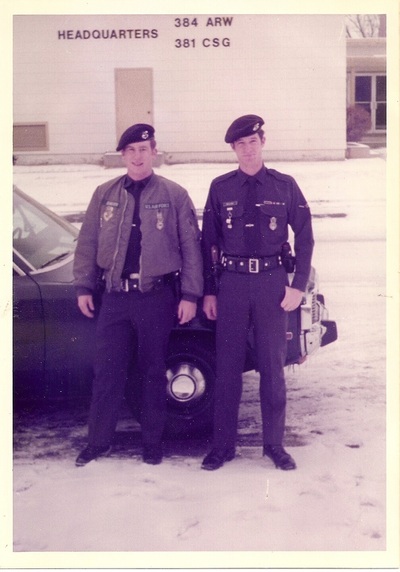 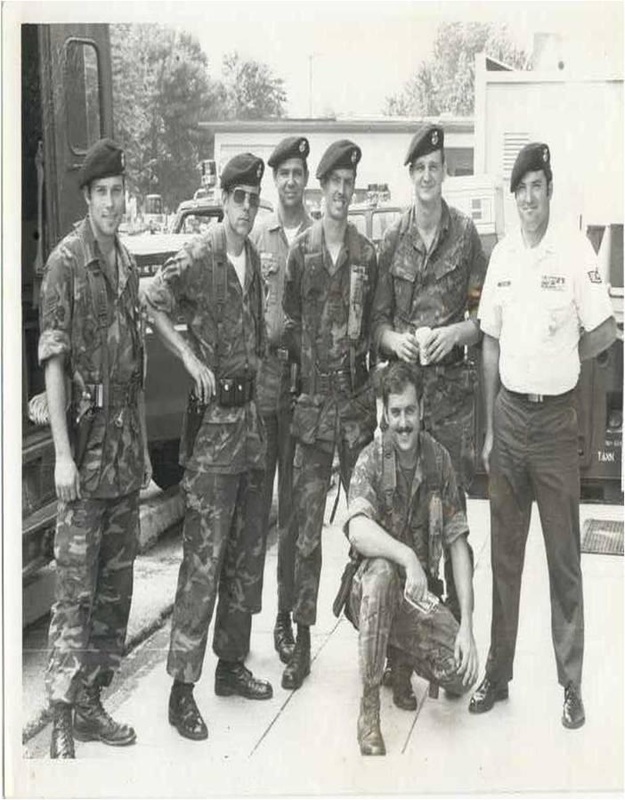 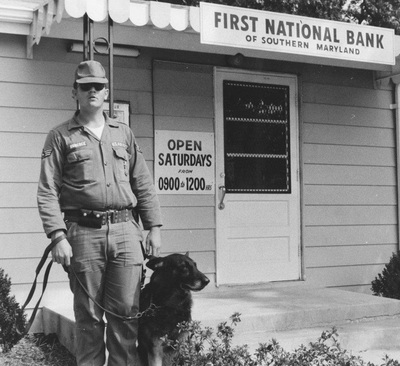 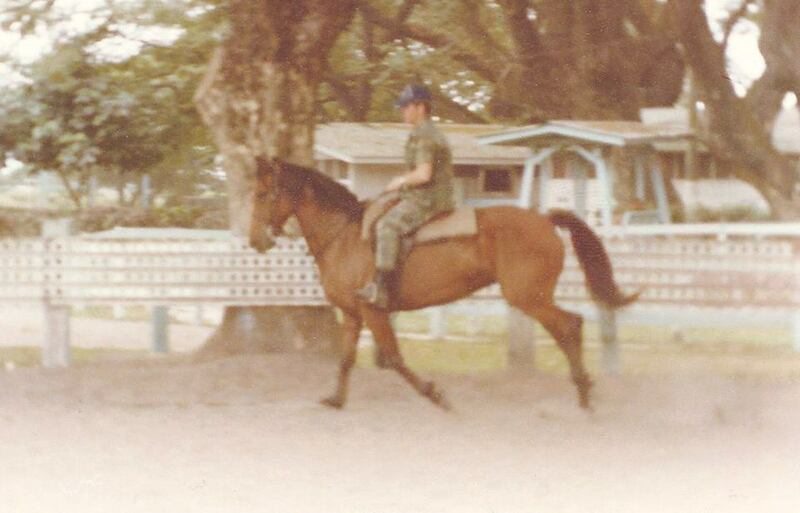 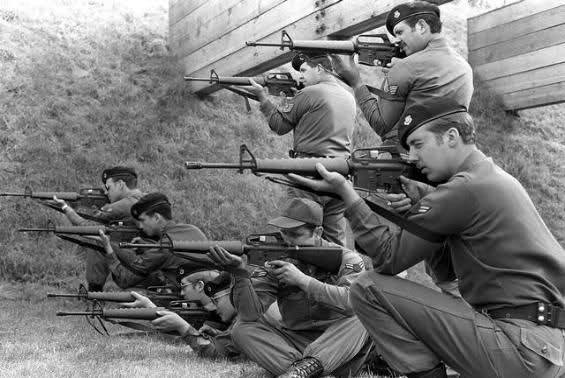 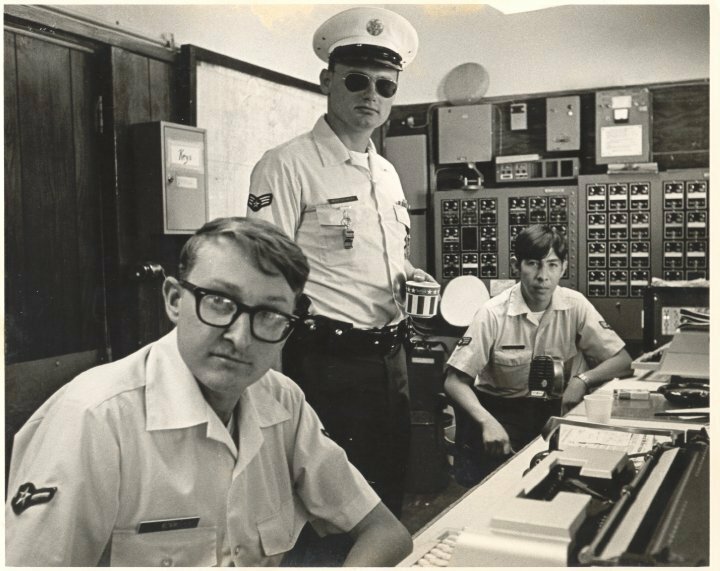 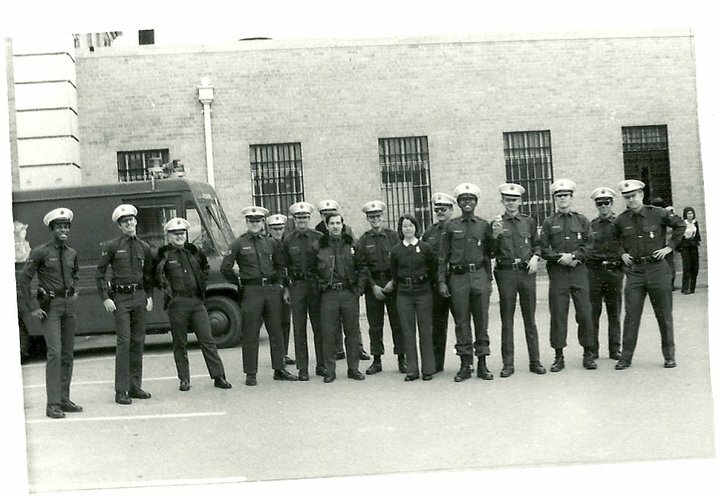 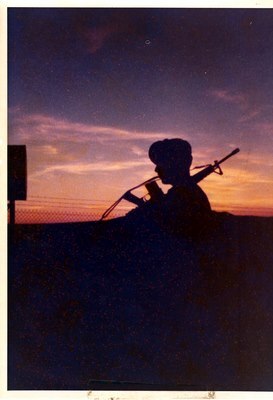 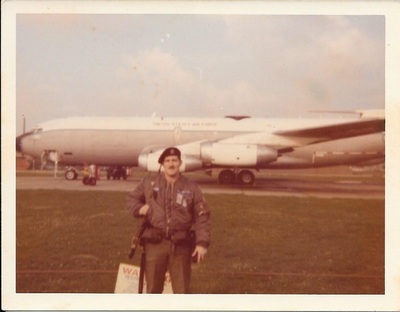 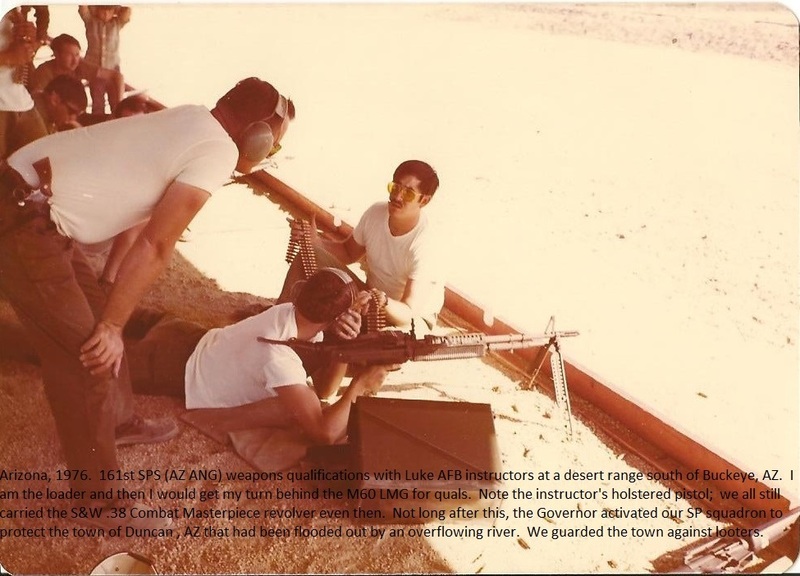 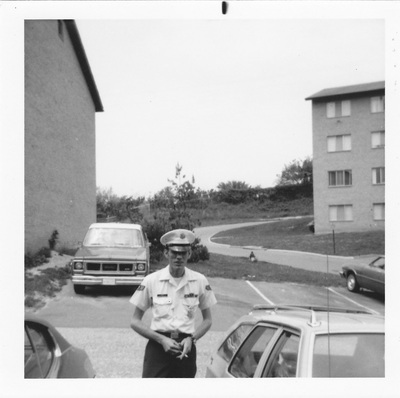 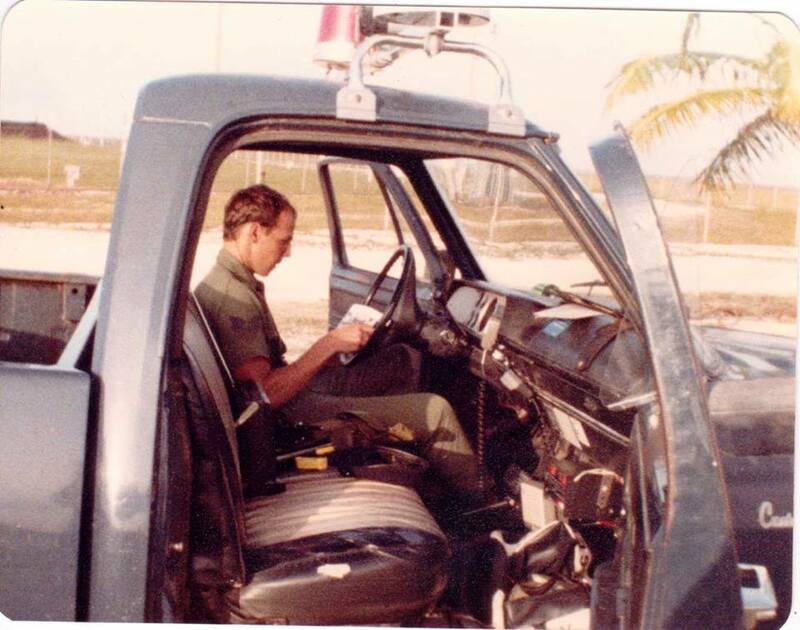 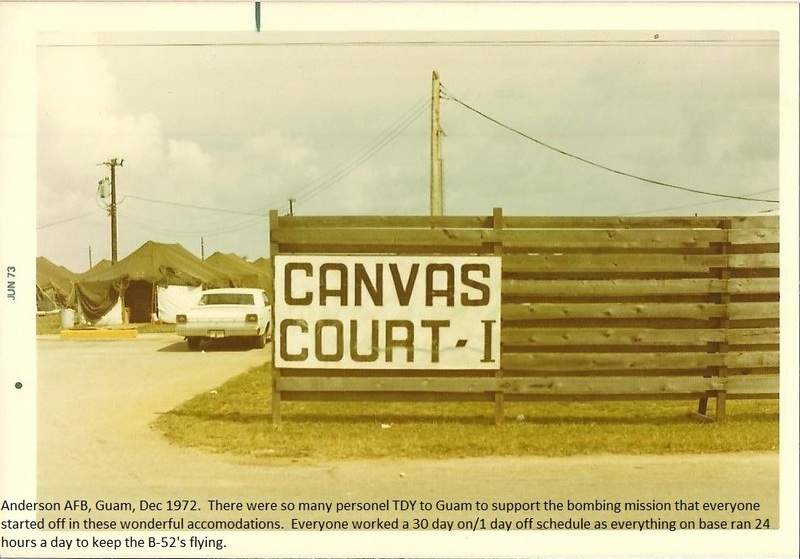 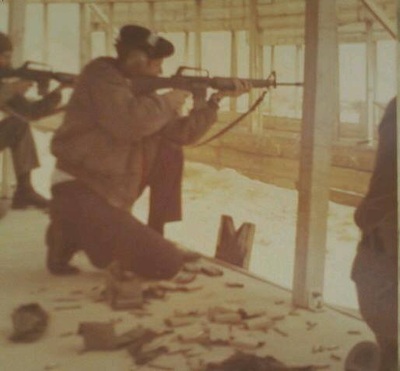 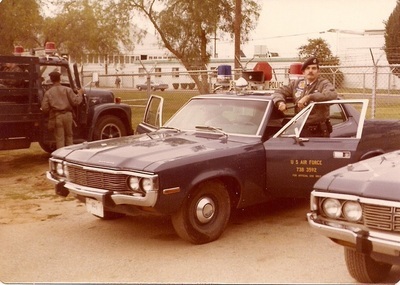 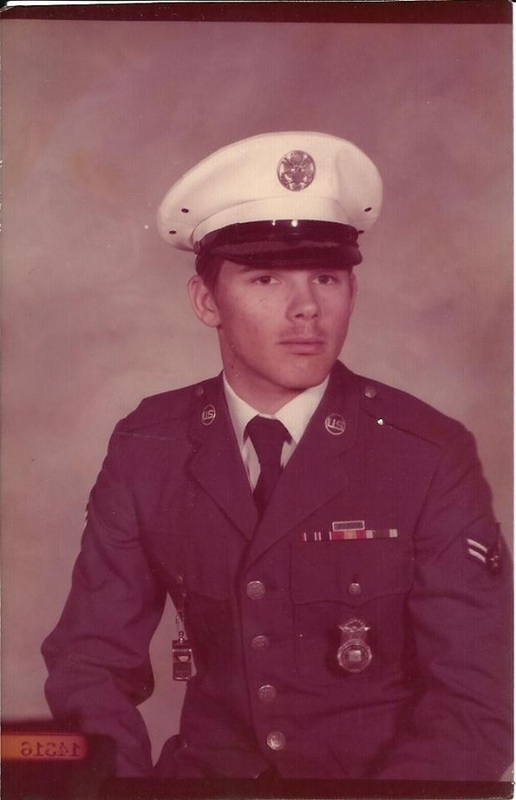 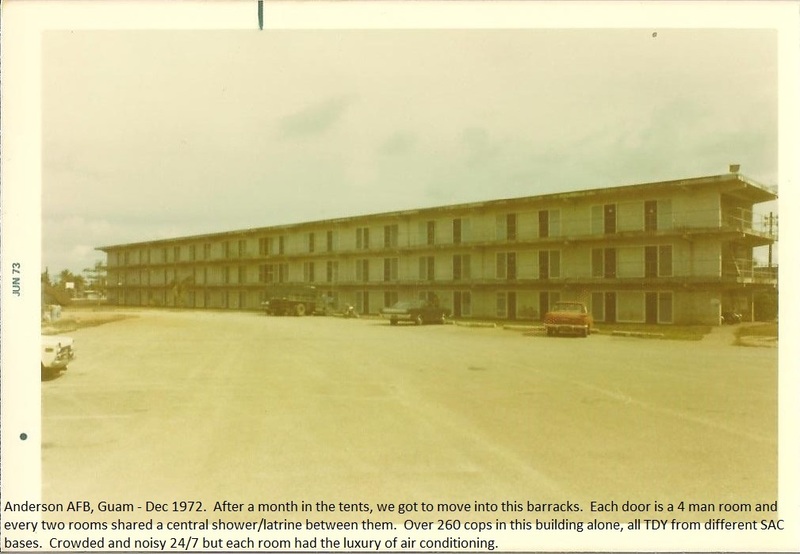 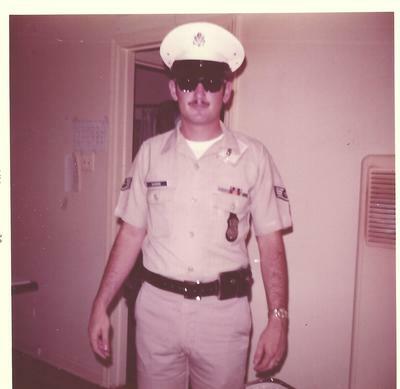 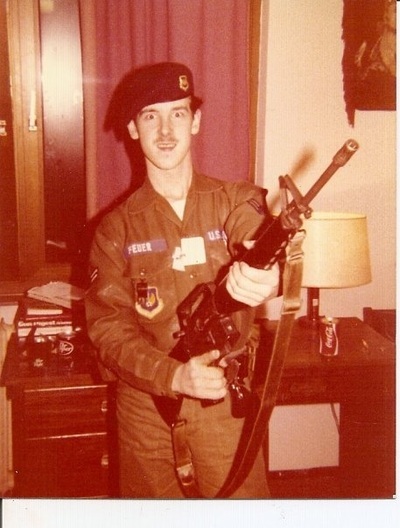 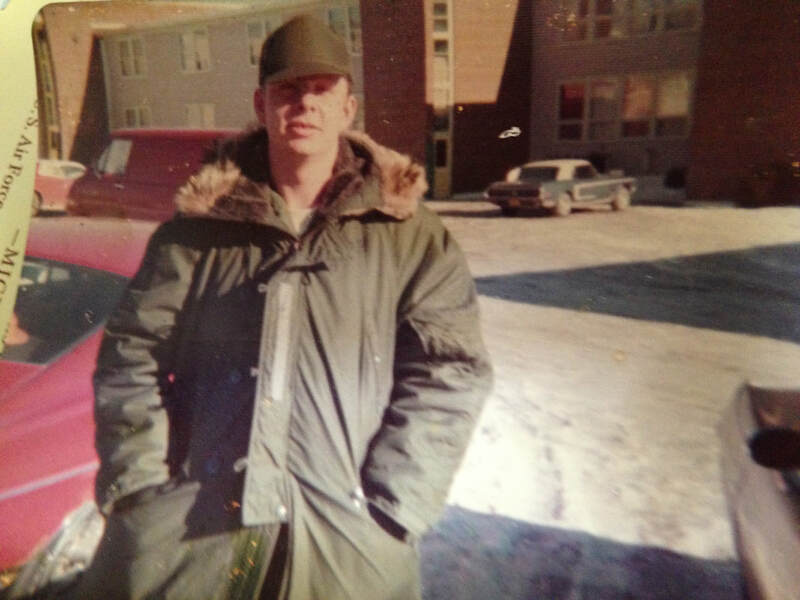 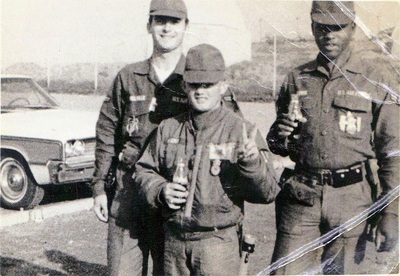 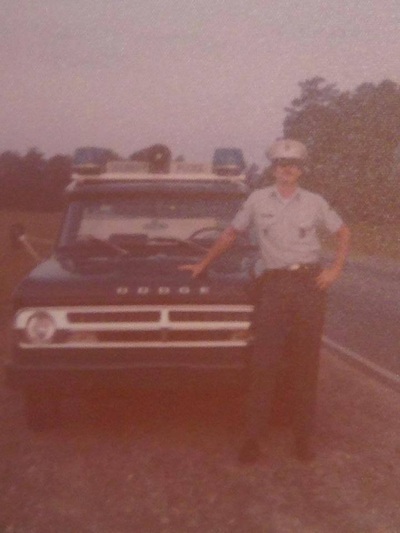 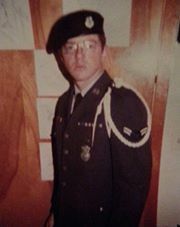 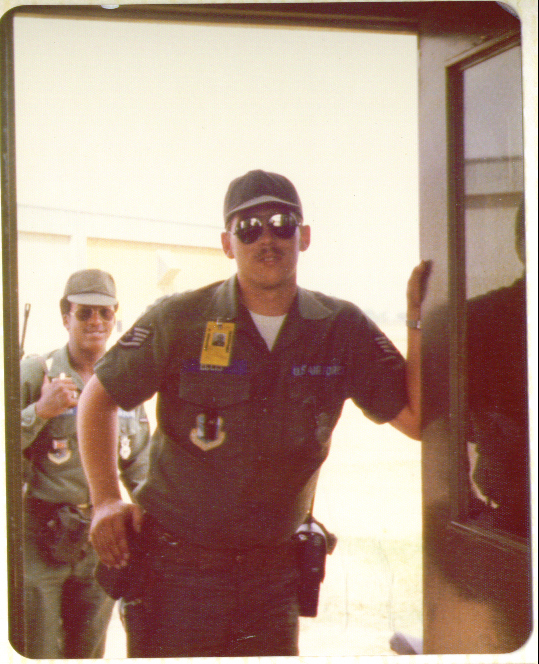 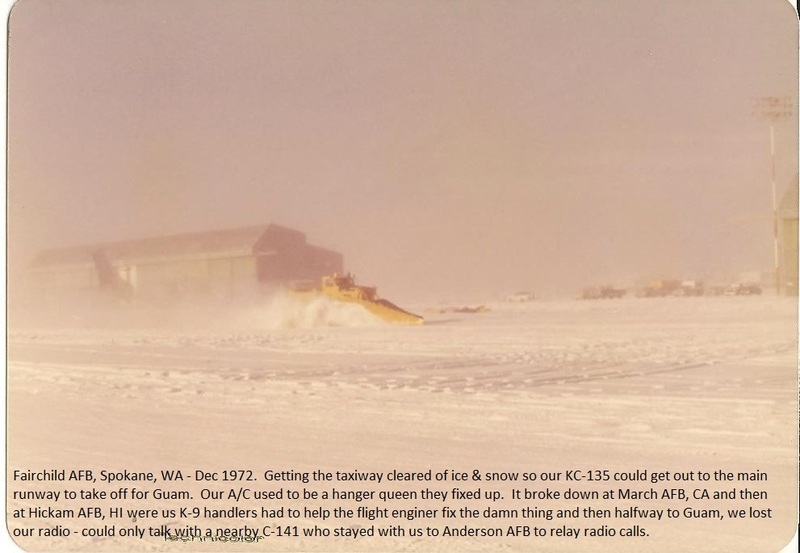 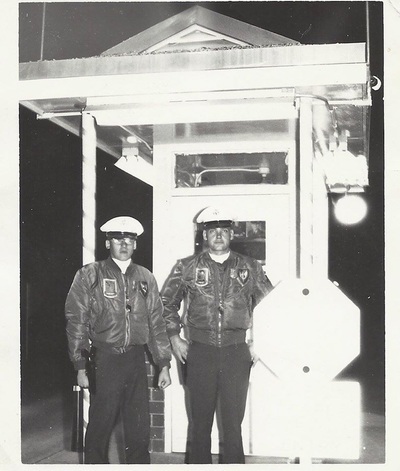 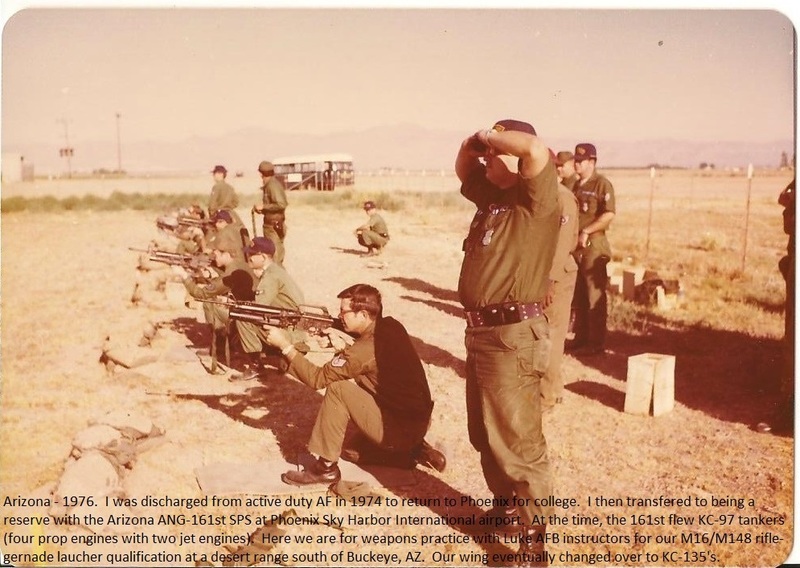 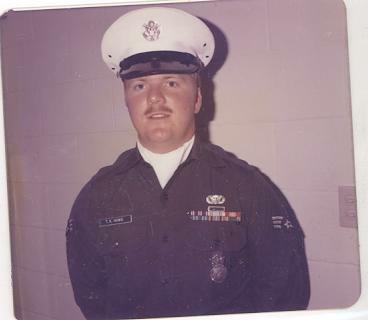 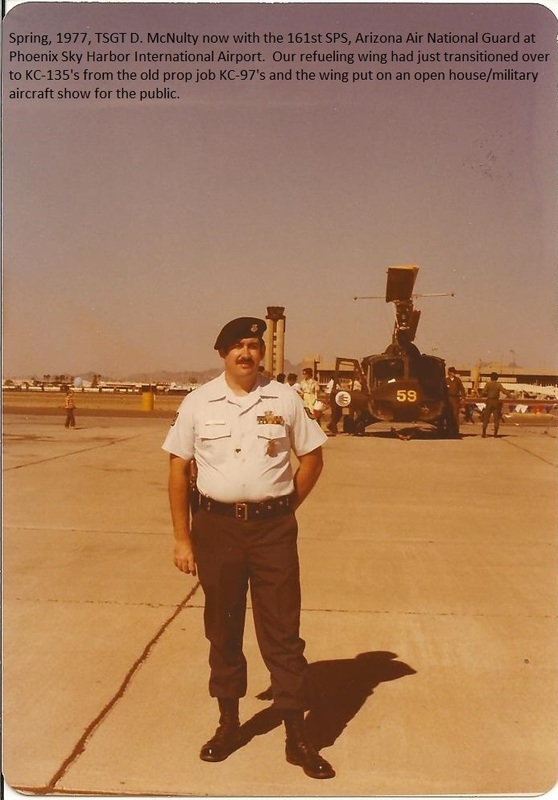 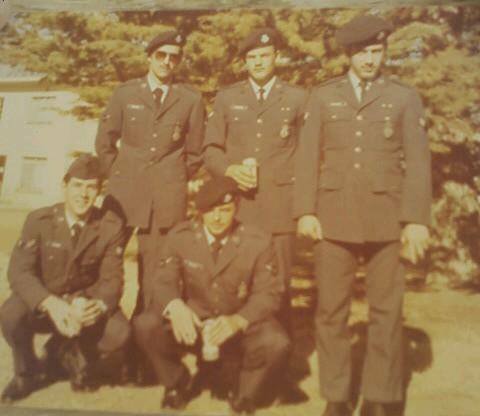 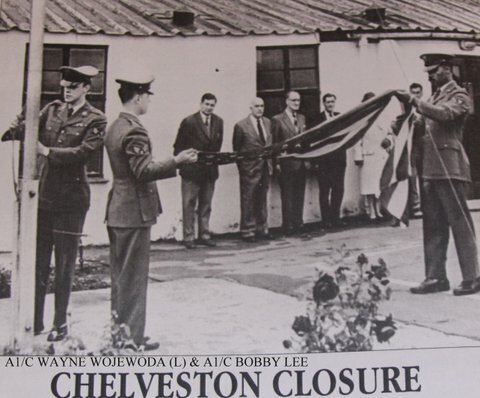 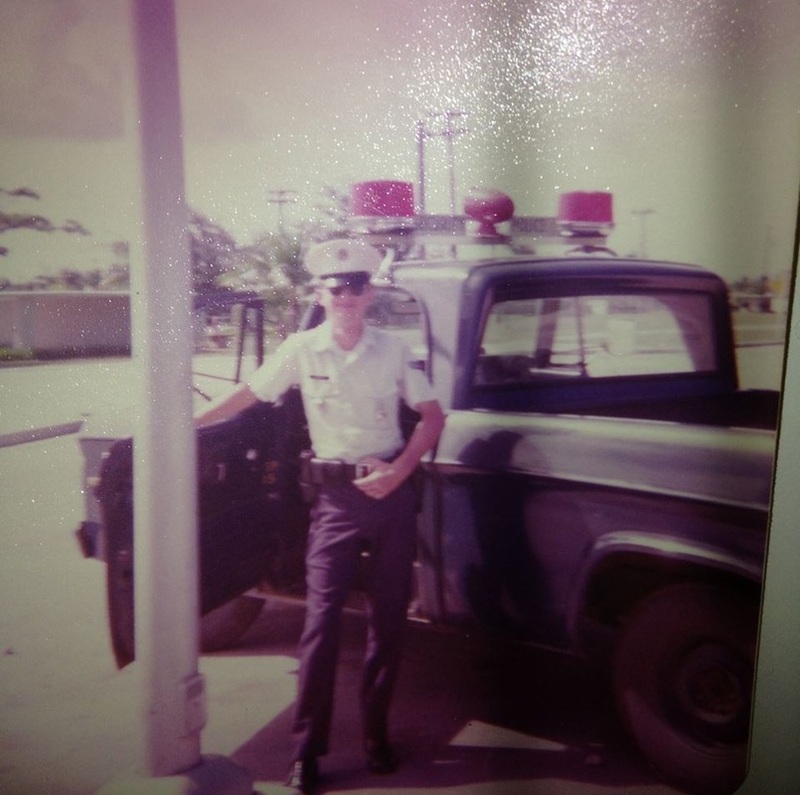 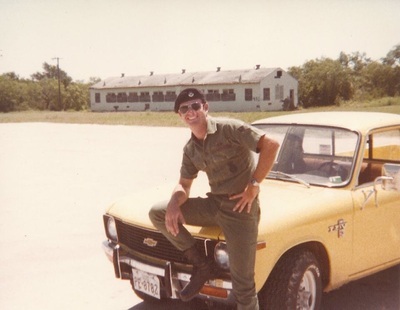 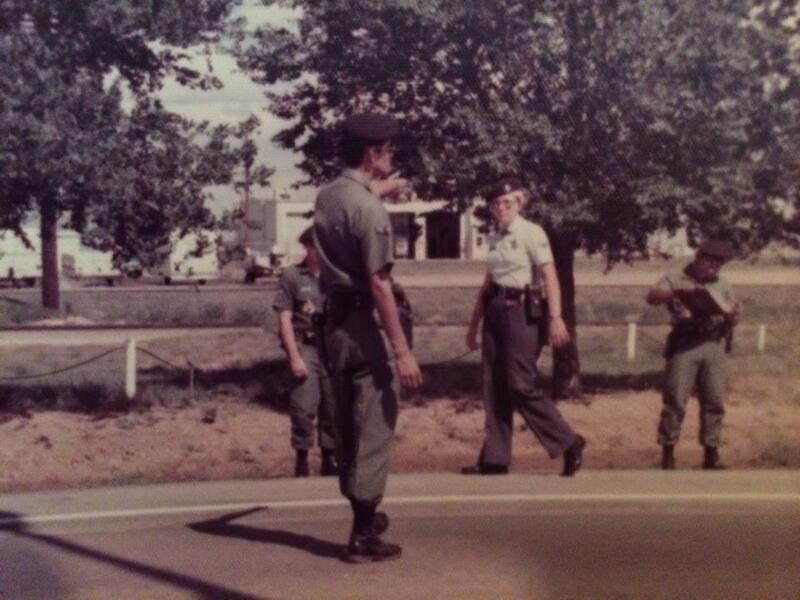 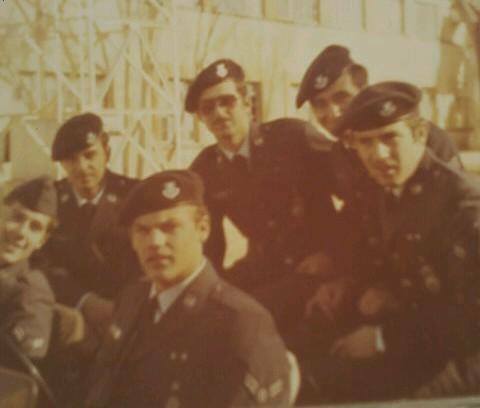 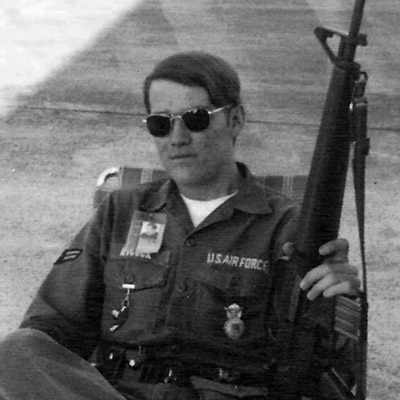 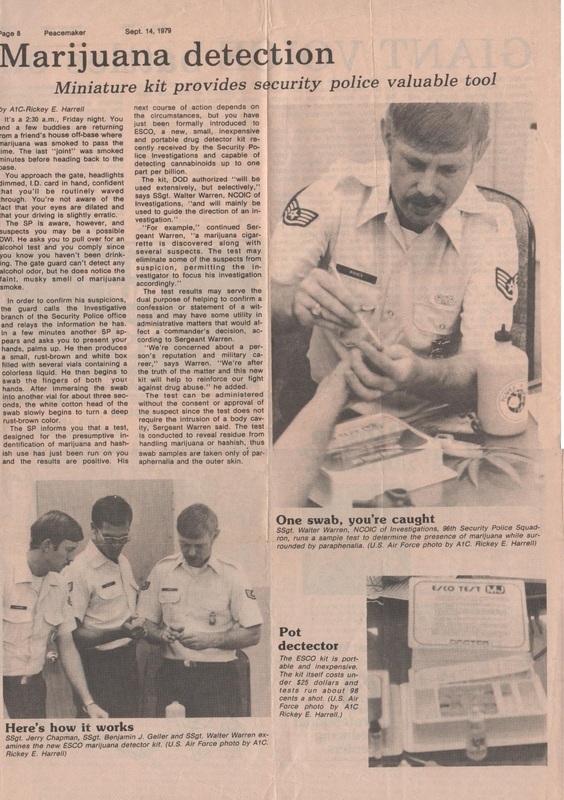 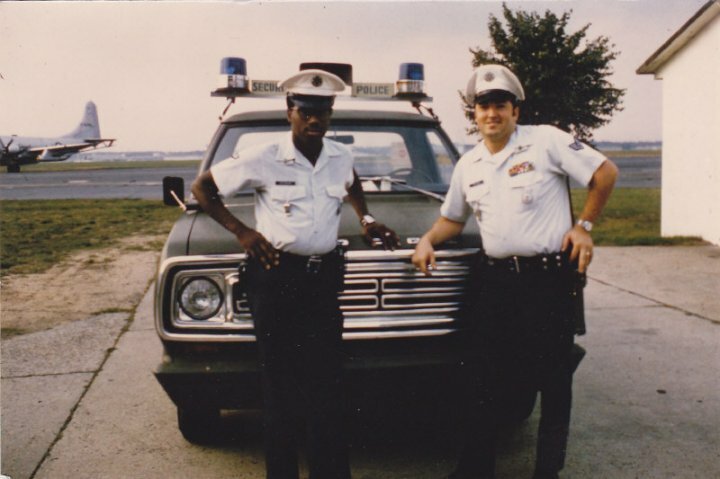 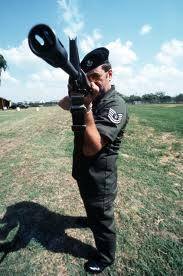 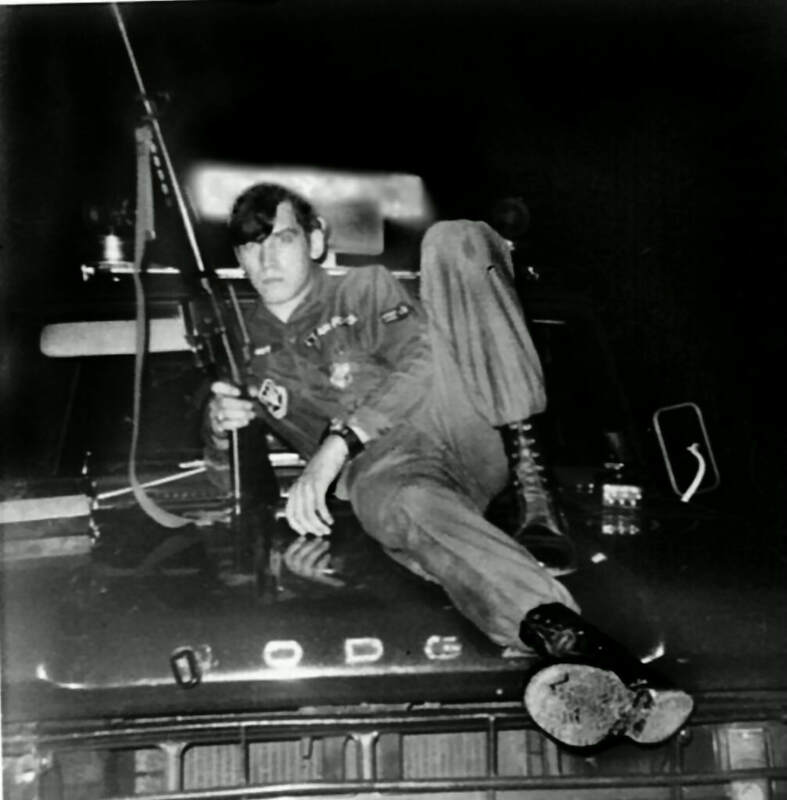 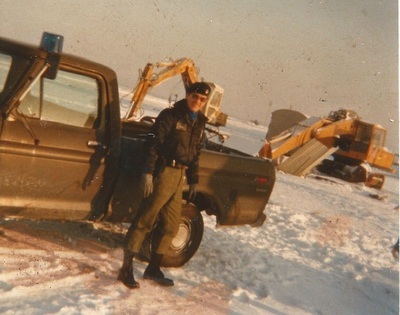 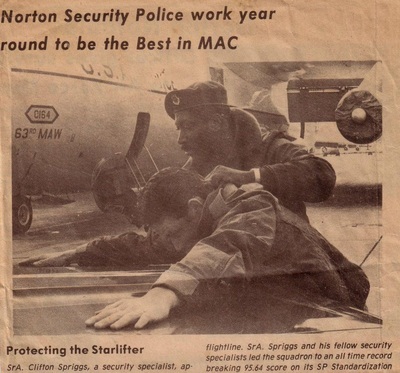 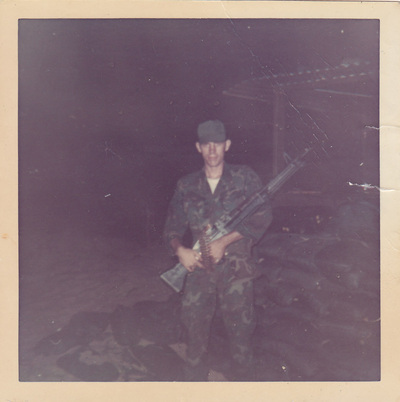 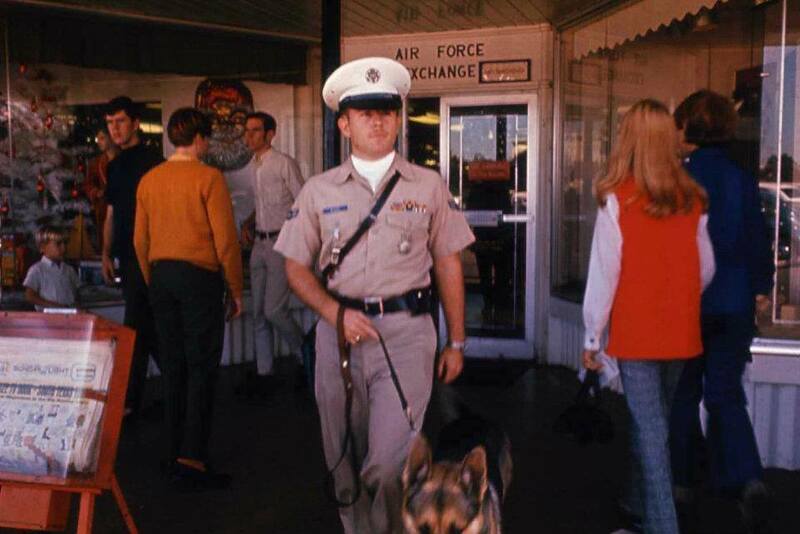 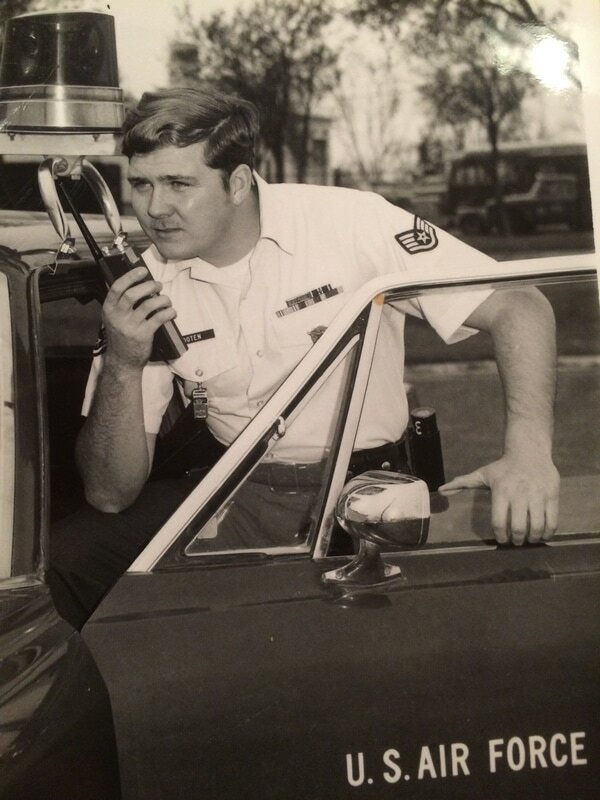 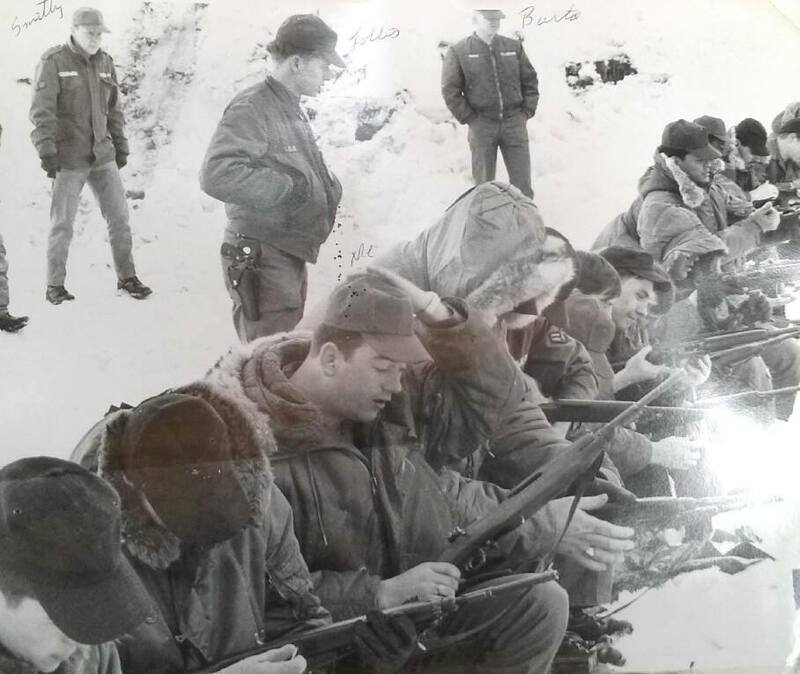 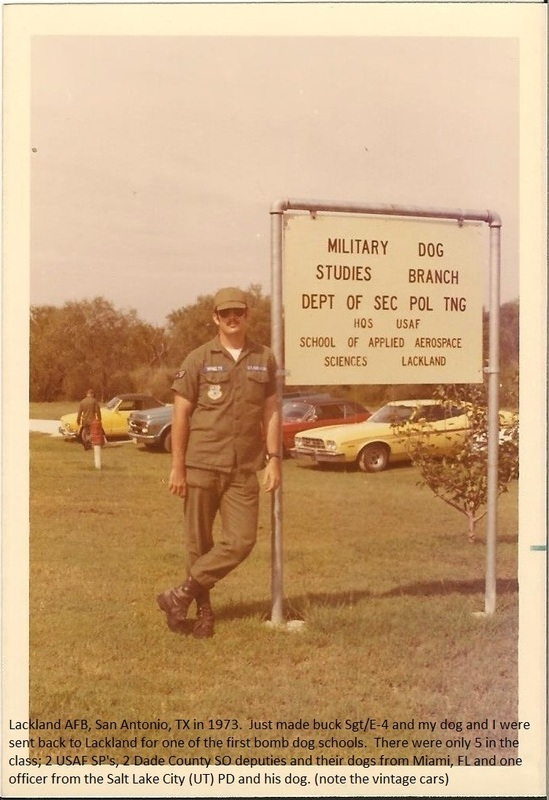 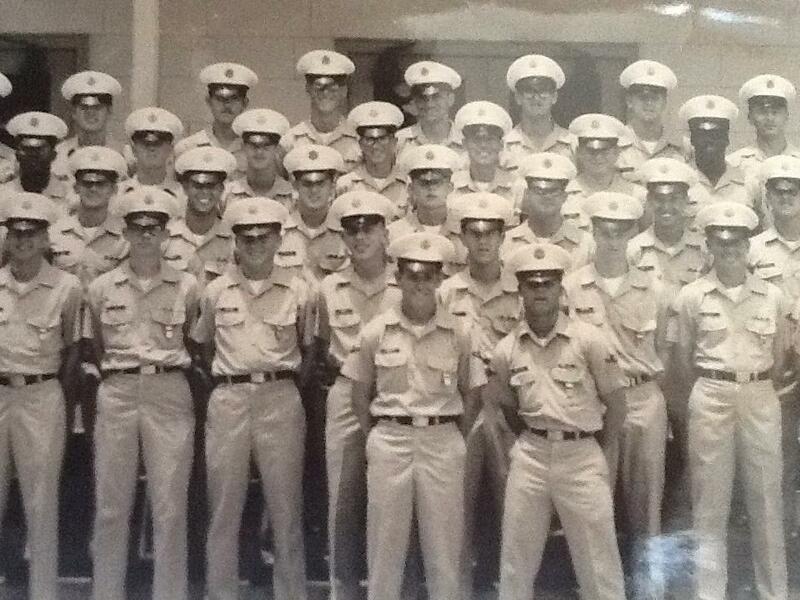 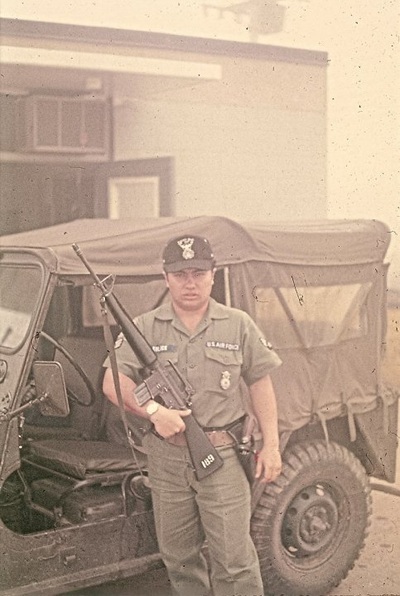 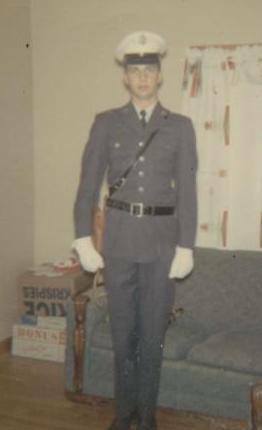 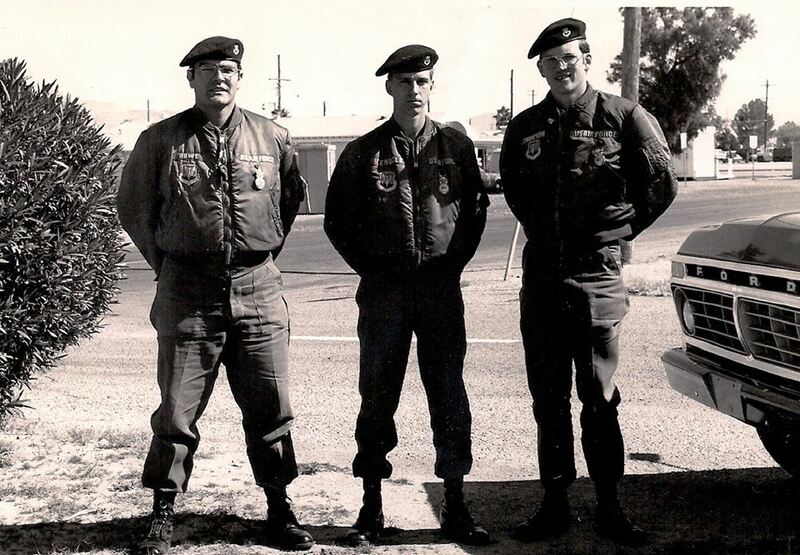 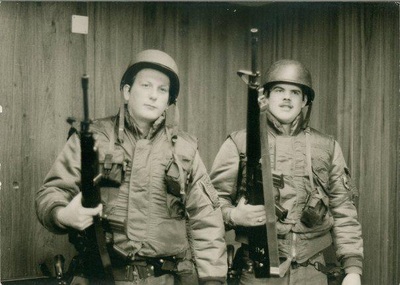 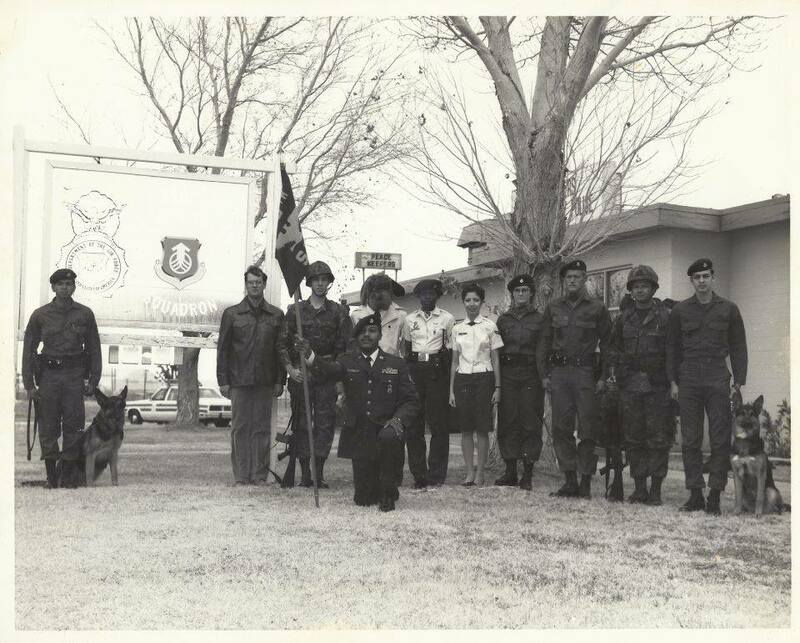 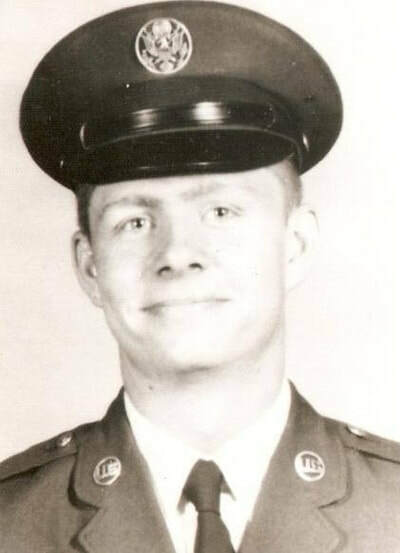 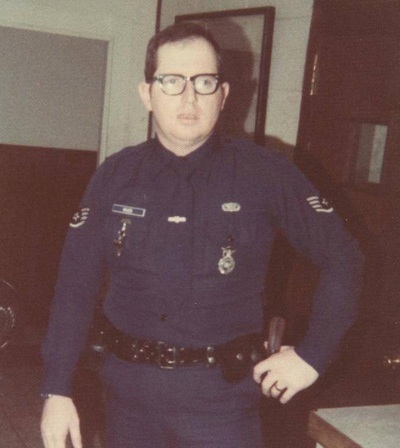 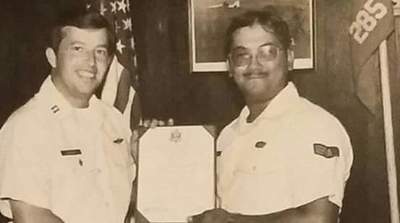 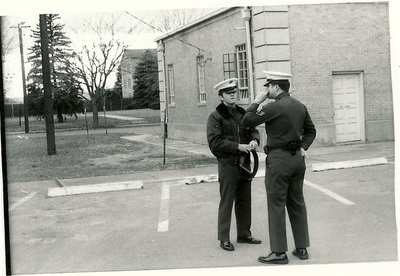 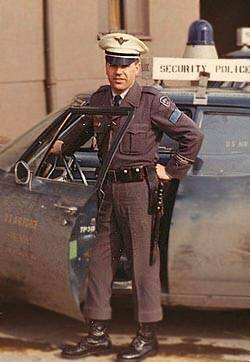 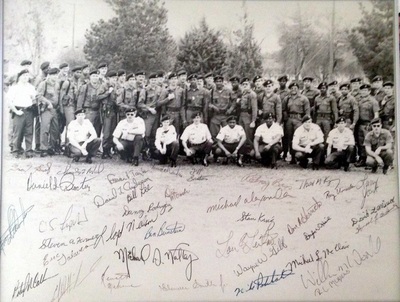 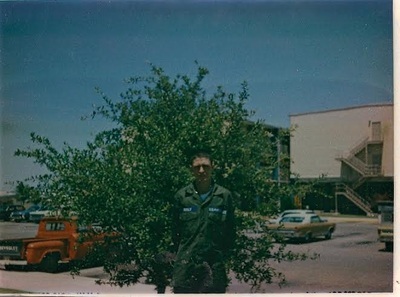 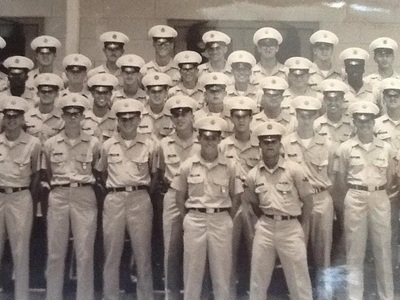 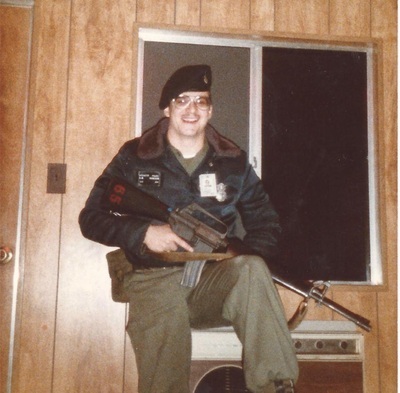 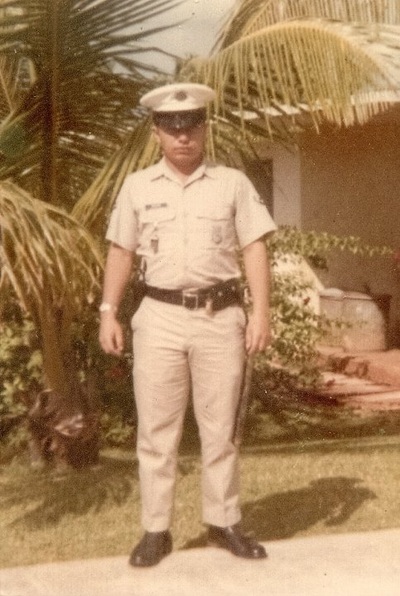 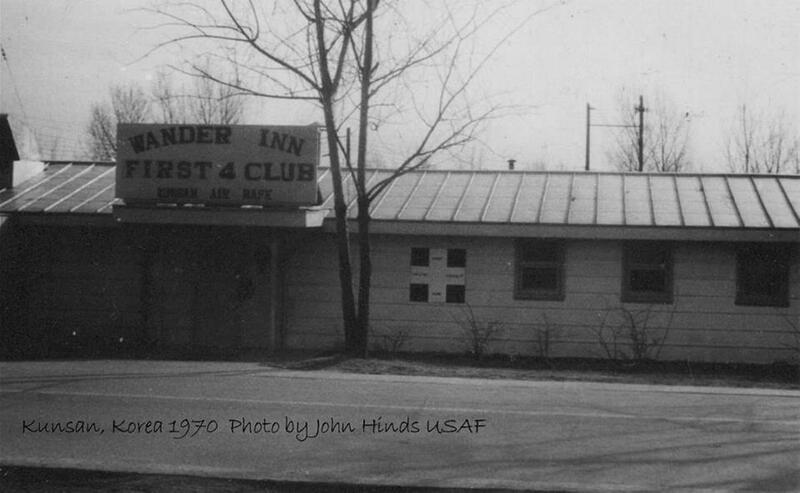 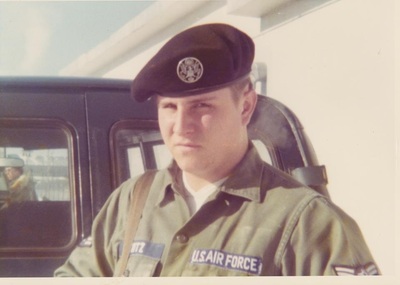 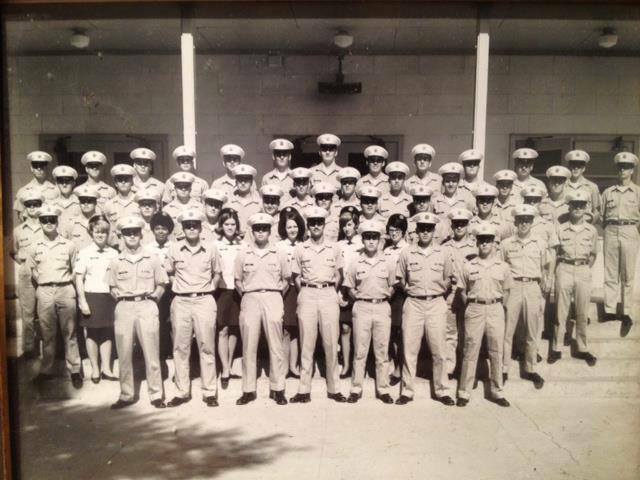 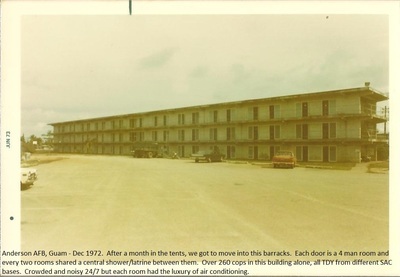 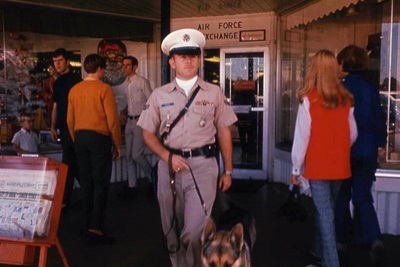 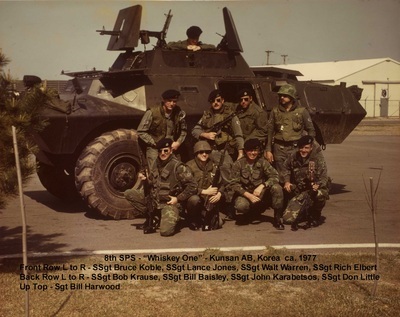 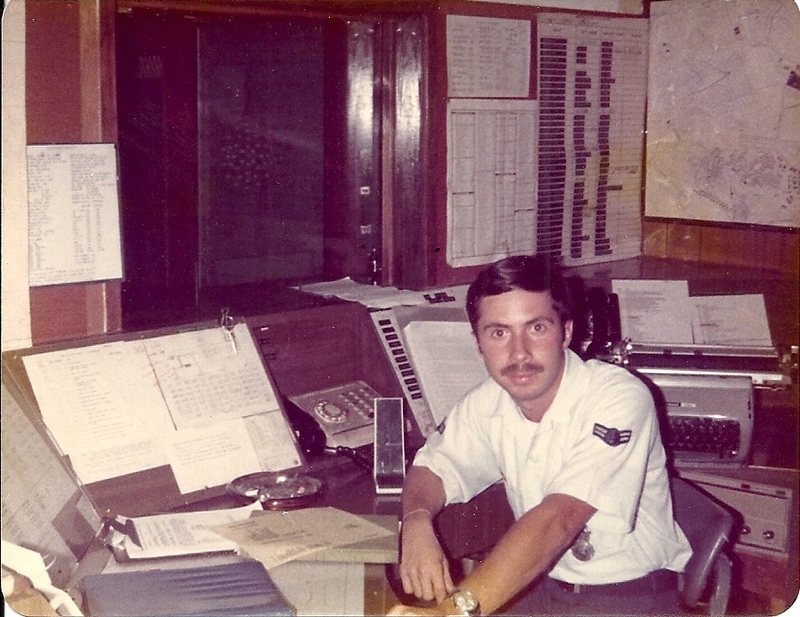 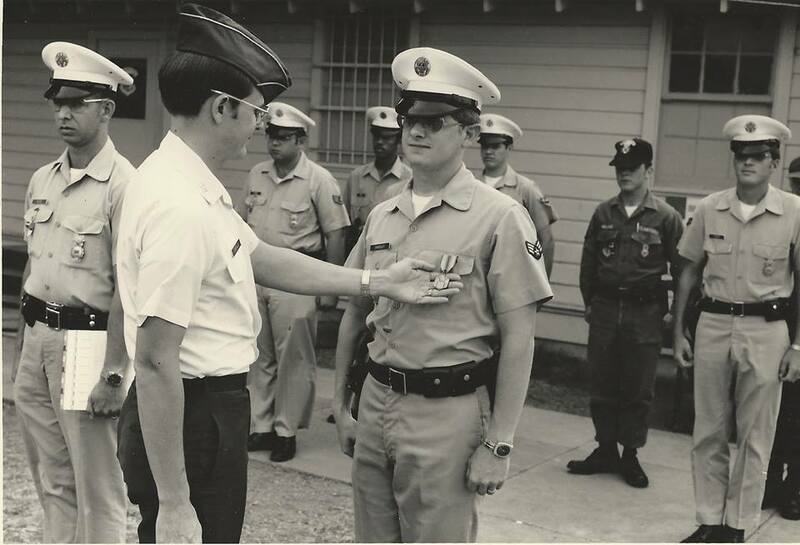 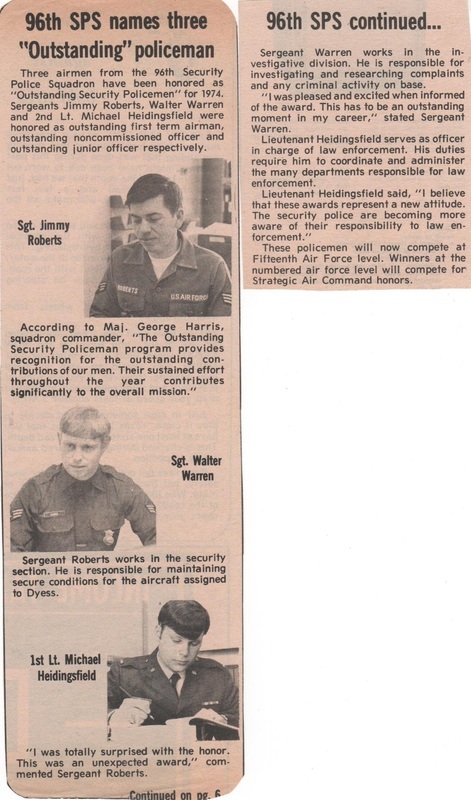 1970’s In March 1971, the enlisted career field was divided into two separate specialties; security and law enforcement. 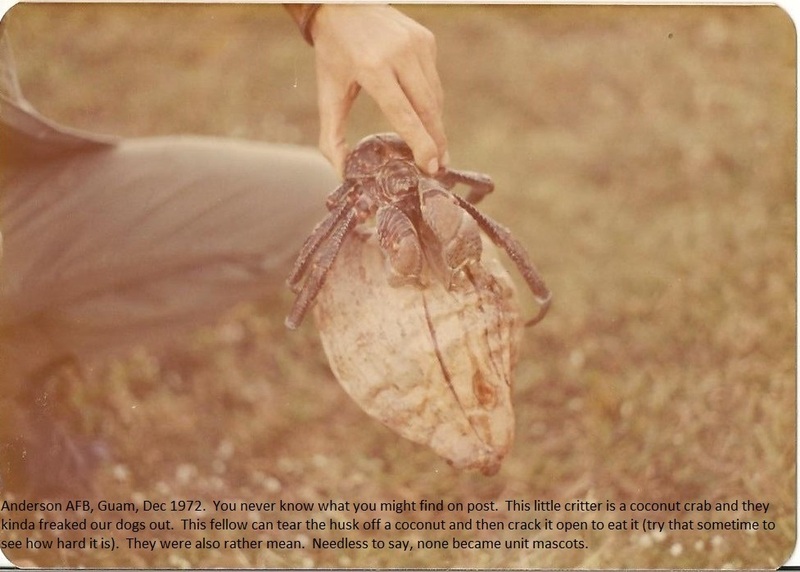 This concept provided specialized training and the use of specific abilities. 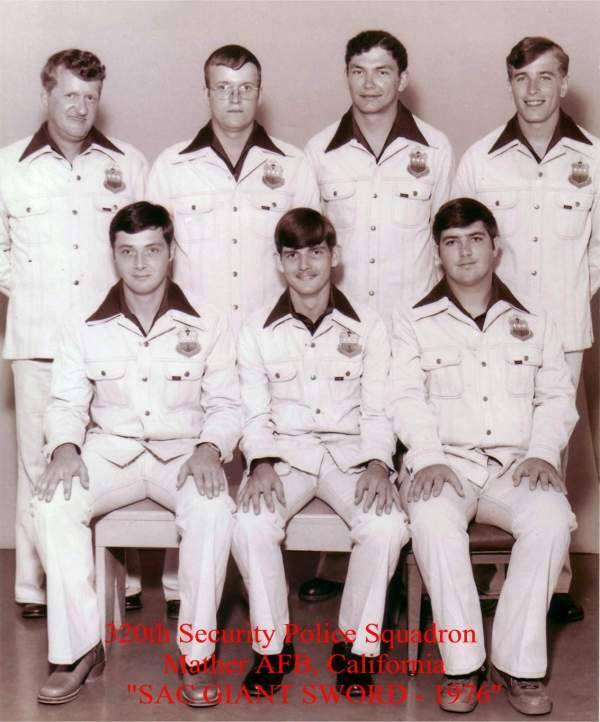 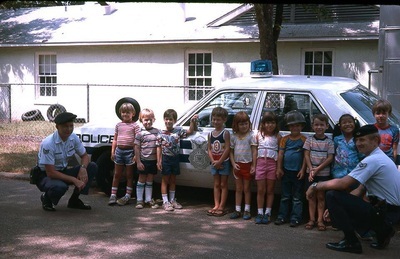 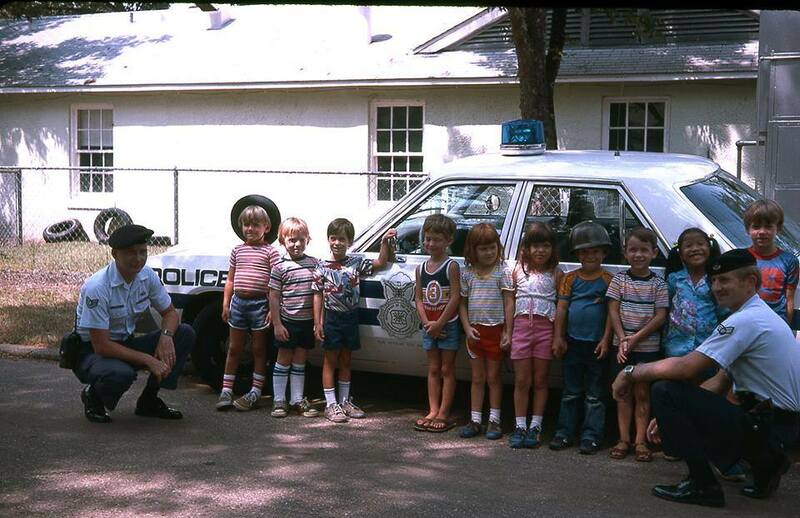 This resulted in the establishment of security police as a Category A career field for formal training requirements. 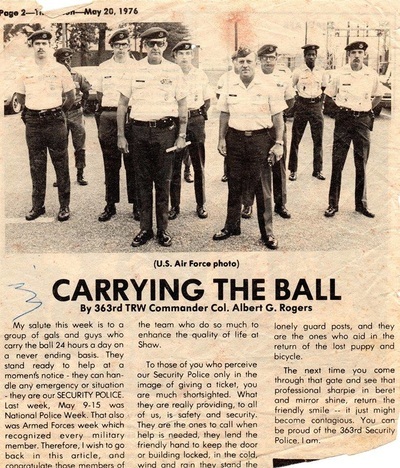 This important career field milestone meant all security police personnel received formal training before being assigned to a unit. 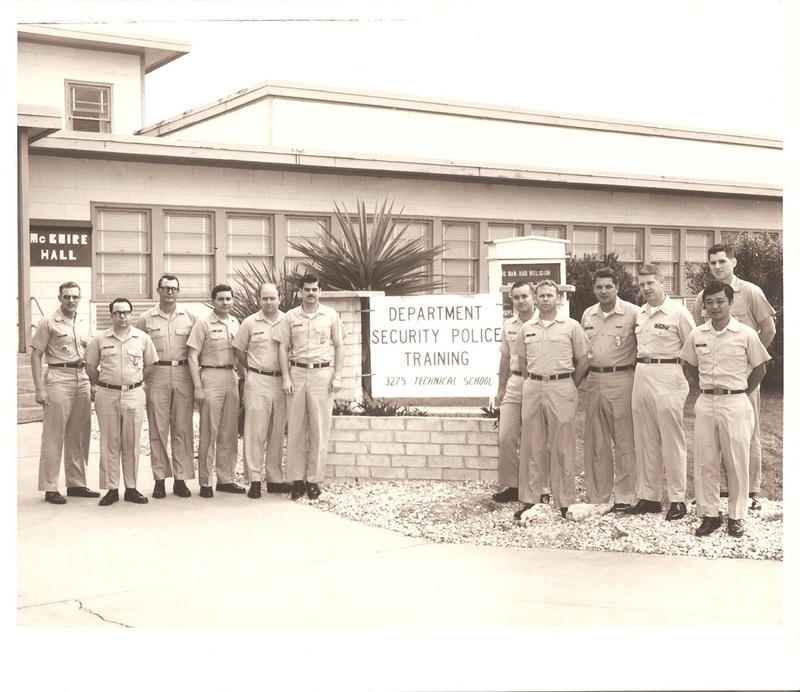 The split was also made to improve the professionalism of the law enforcement and nuclear security forces and allow for the expertise maturation needed to perform both specialties. 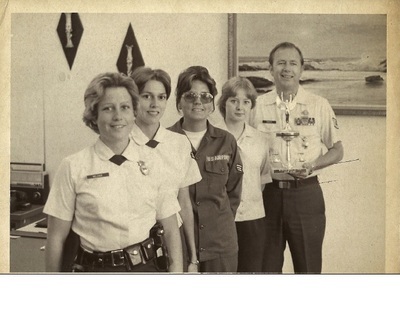 Female Airmen enter law enforcement training. 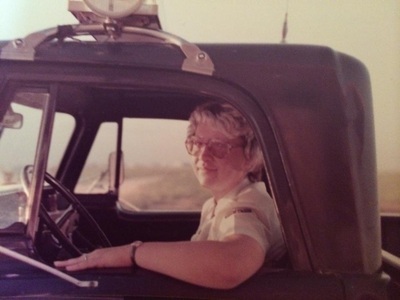 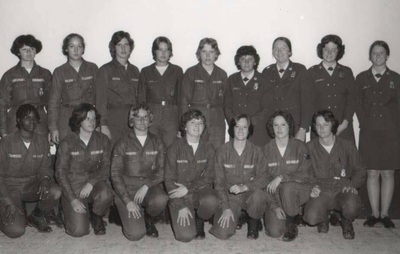 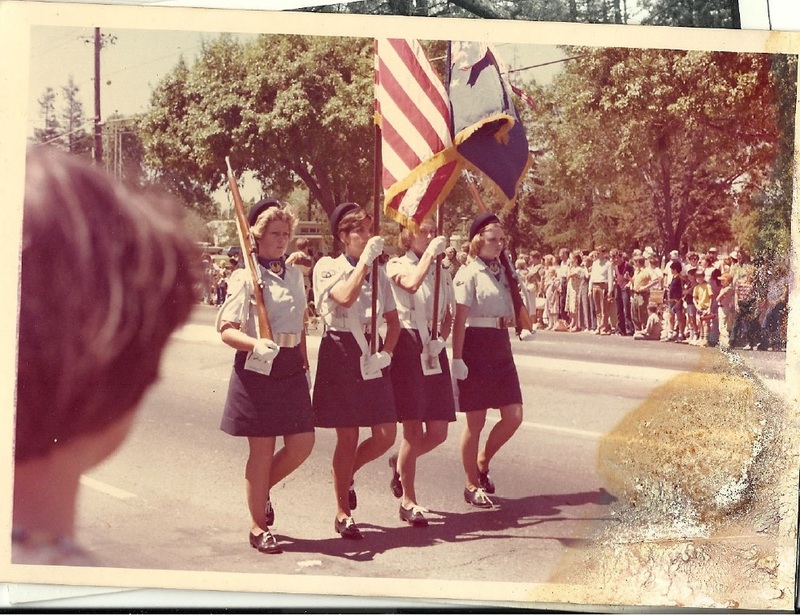 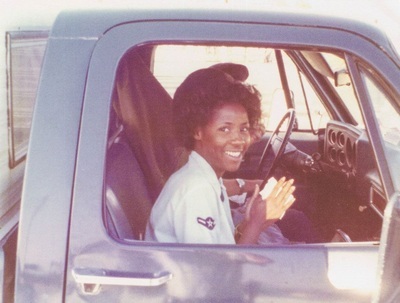 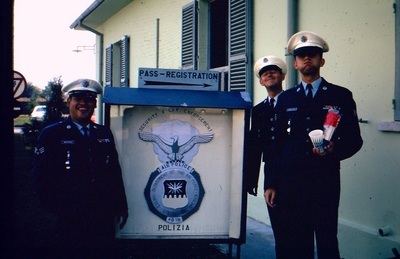 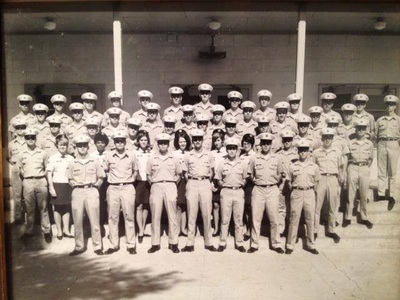 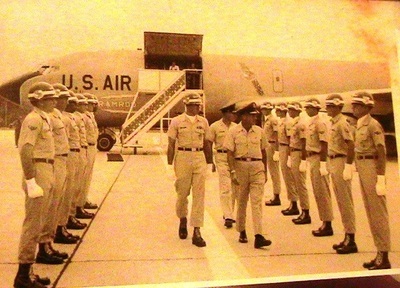 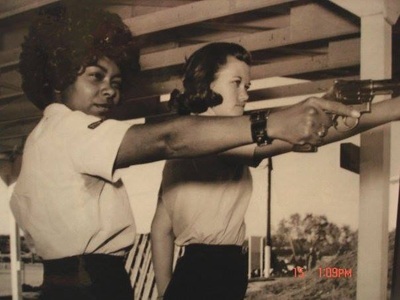 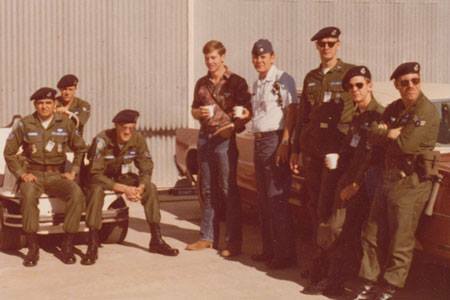 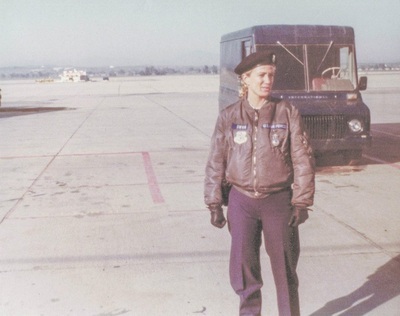 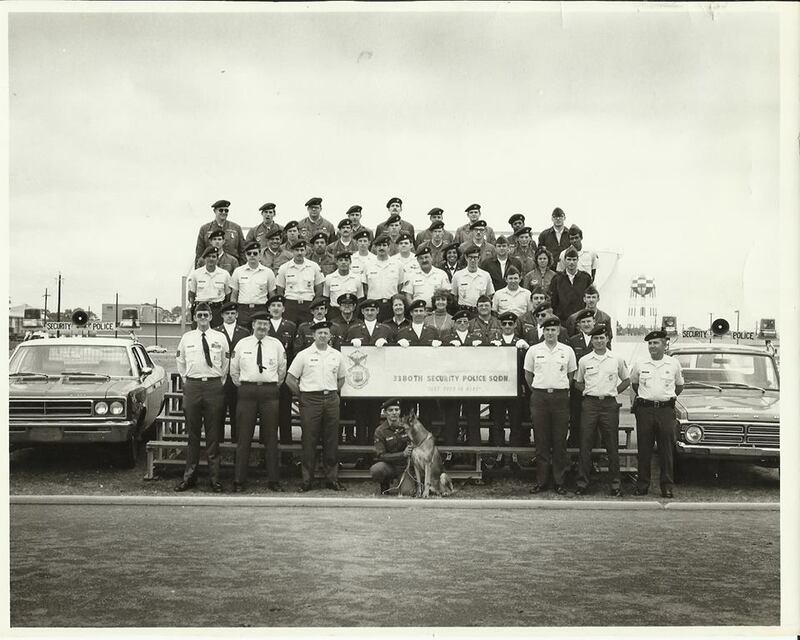 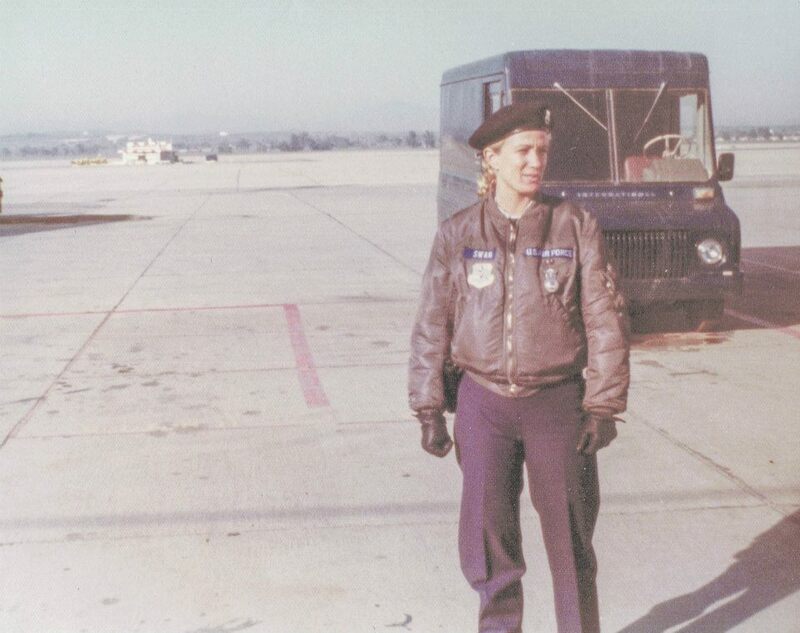 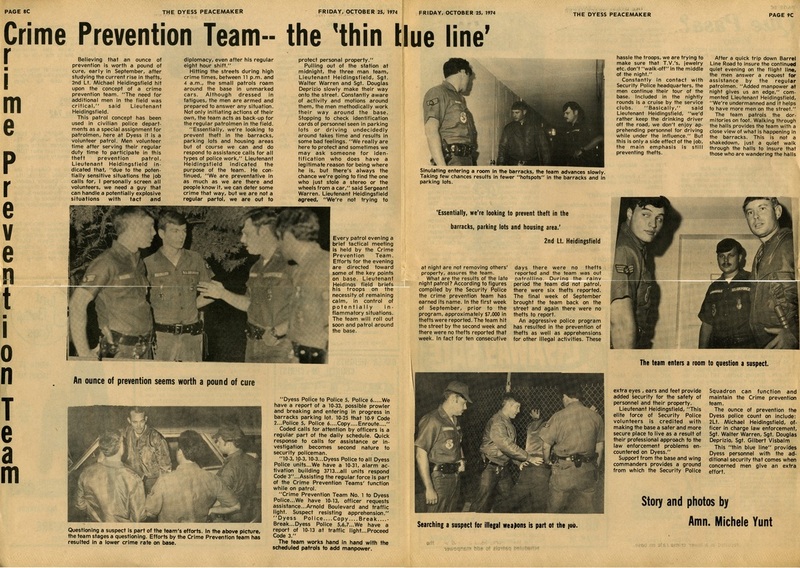 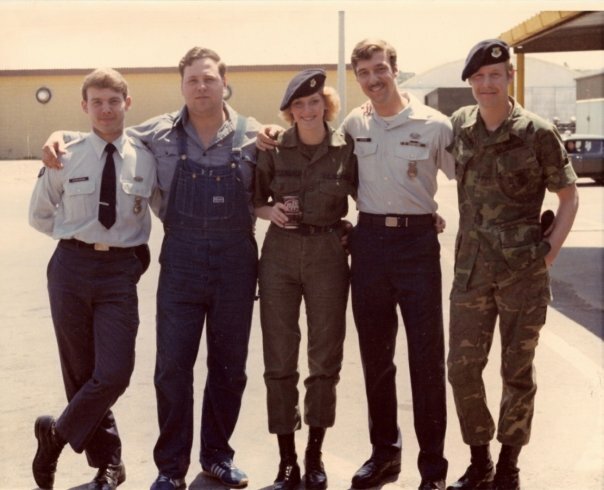 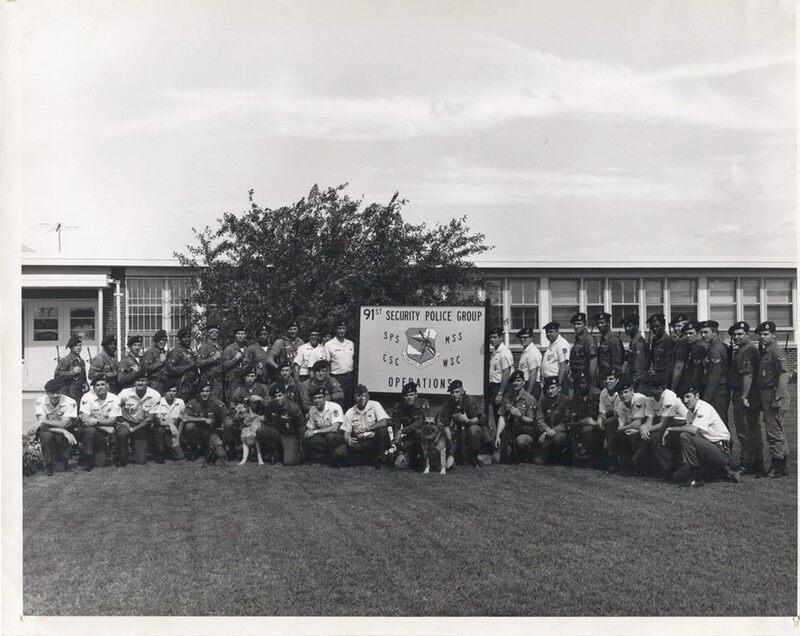 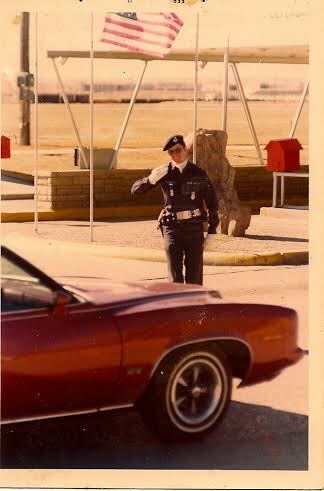 Another milestone was reached in November 1971, when 12 female Airmen entered law enforcement specialist training at the Security Police Academy at Lackland AFB, In November 1976, 100 female volunteers were selected for security specialist training in a test to determine the suitability of employing women in combat-related jobs. 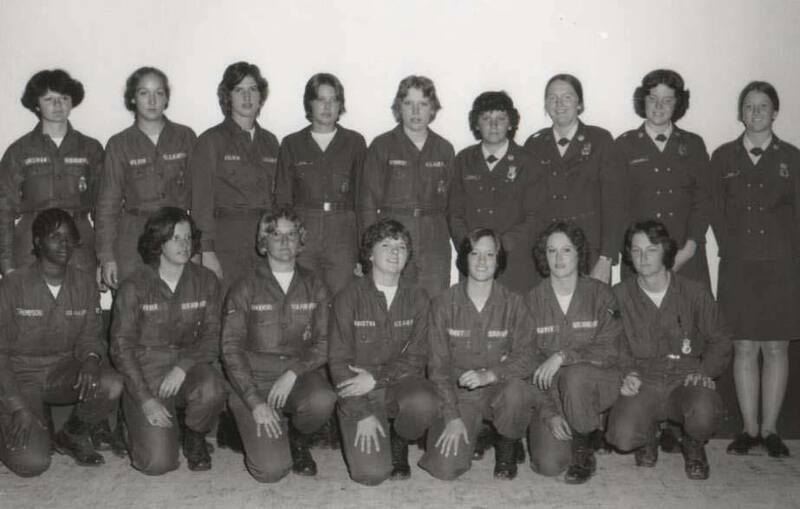 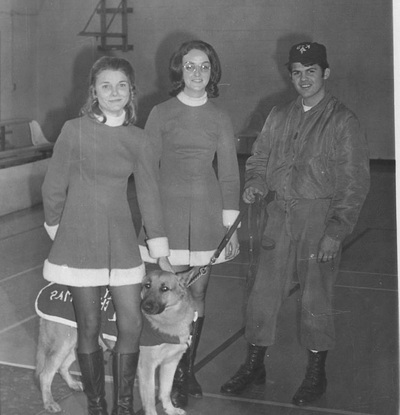 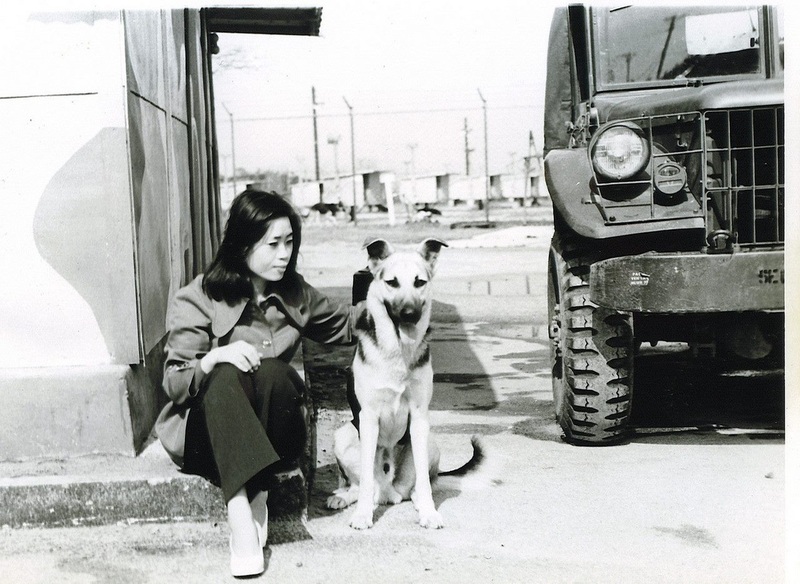 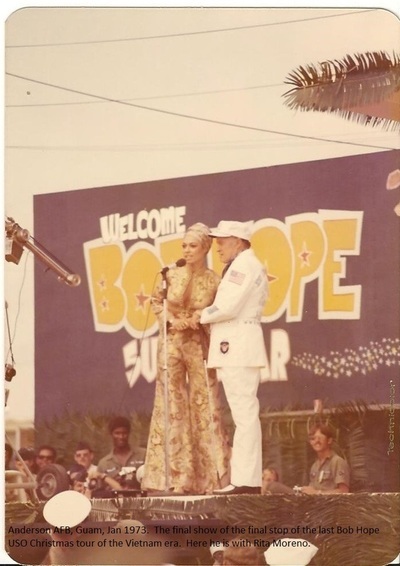 The graduating women were assigned to security duties at stateside and overseas bases; however, the program was phased out after a short period. Participants were allowed to retrain, including many who transitioned to the law enforcement career field. High Priority Rescue Mission. 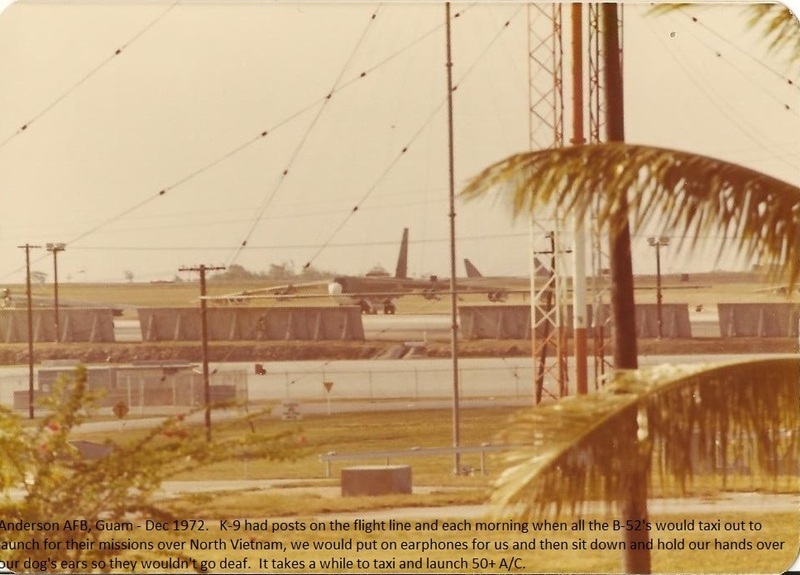 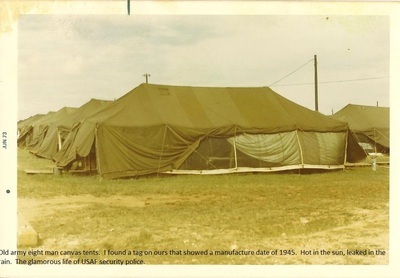 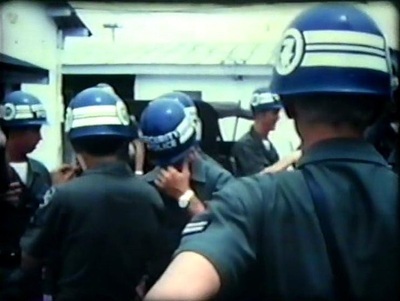 The first time security police were tasked with a high-priority rescue mission was in May 1975, when the S.S. Mayaguez merchant ship was seized by Khmer Rouge communist forces in Cambodia. 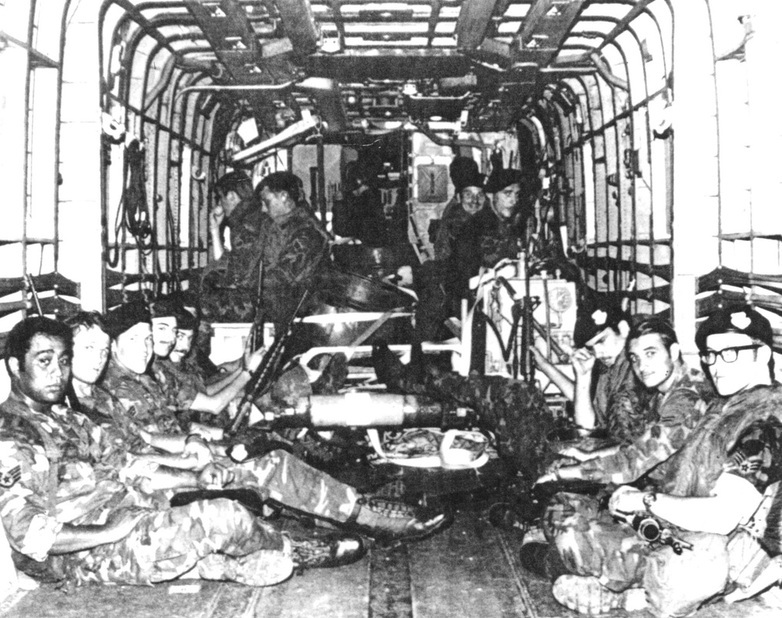 During the subsequent action, one of the rescue helicopters carrying a crew of four, a linguist, and 18 security policemen, crashed shortly after takeoff from Nakhon Phanom AB, plummeting into a thickly wooded area and exploding. 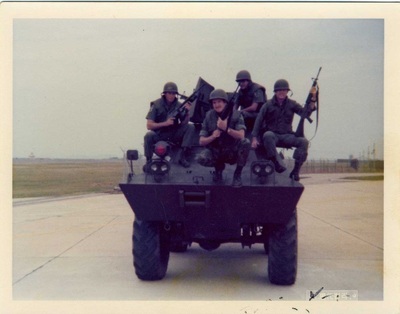 A trailing CH–53C “Jolly Green” helicopter landed and dismounted its security police force to assist the crew of the downed aircraft. 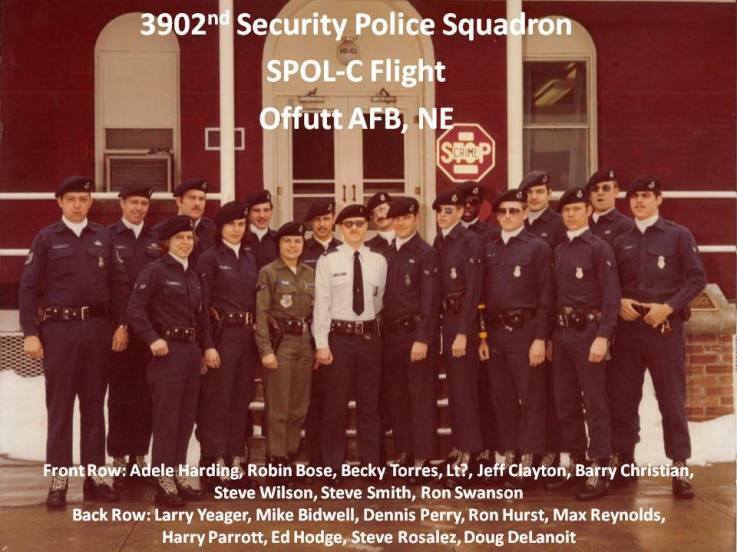 The 18 SPs who perished in the crash were listed as having died in a training accident although all were awarded posthumous Bronze Stars with a “V” for Valor. 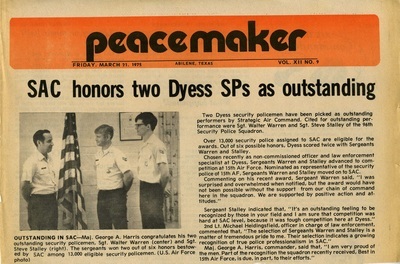 Gen Nunn also predicted that even though Sadler was from the operational side of the house, “His assignment represents an important milestone in terms of a career progression step for all security police officers…it is clear that the door has swung open and that professional security police officers will soon be competing strongly in the general officer arena. 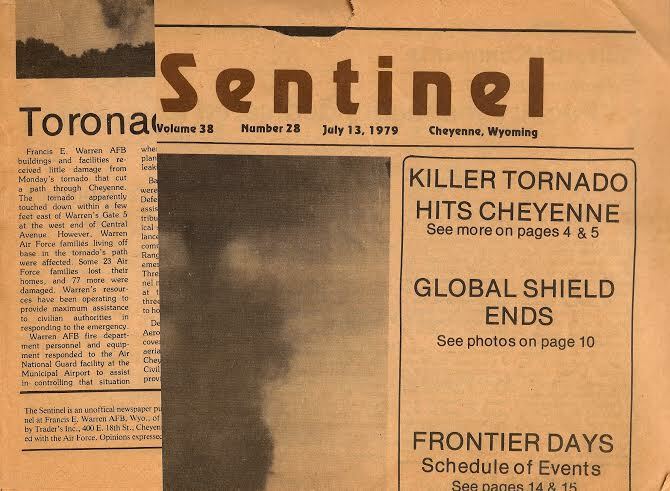 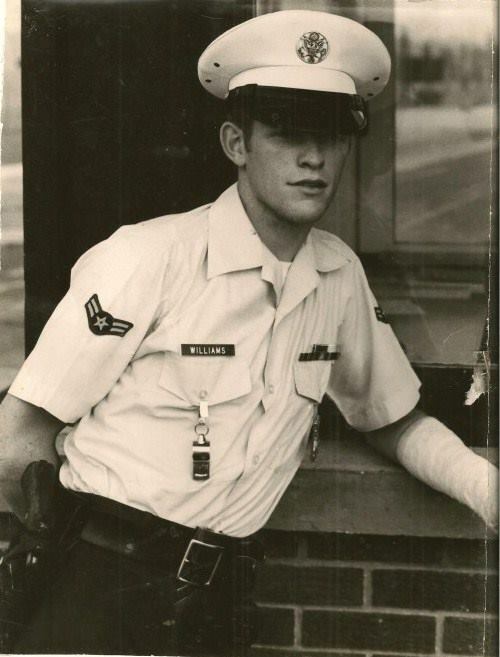 That is not only inevitable, in my judgment, but desirable, and I personally look forward to the day when it is a reality.” Sadler, a native of Canton, Ohio, enlisted in the Army Air Forces in 1943 and flew 35 combat missions as a B-17 gunner. 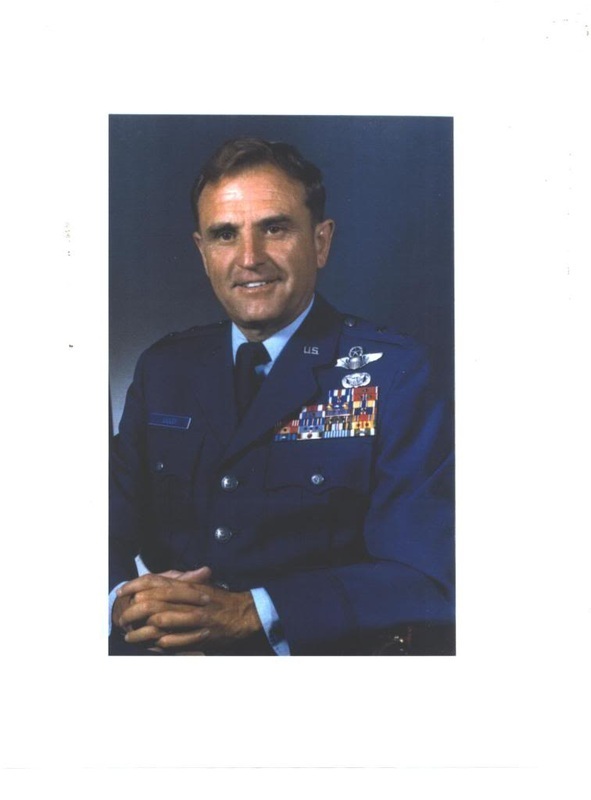 After his discharge in December 1945 he attended the University of Alabama until 1948 when he rejoined the Air Force as an aviation cadet. 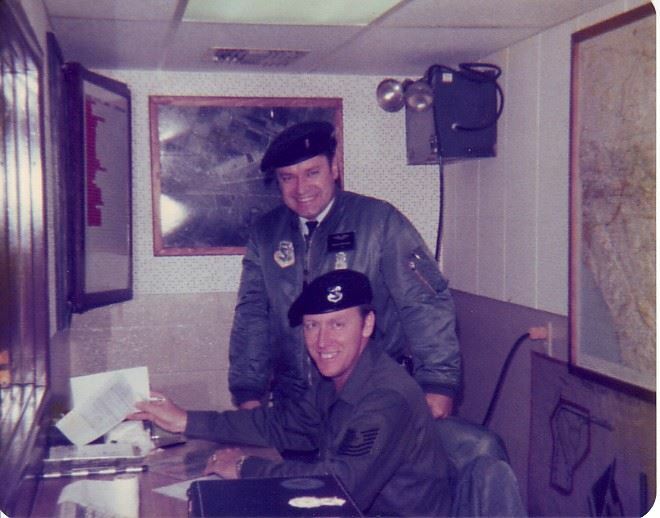 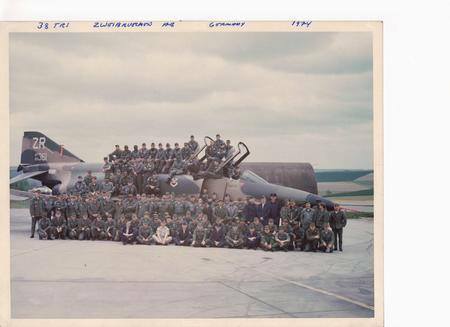 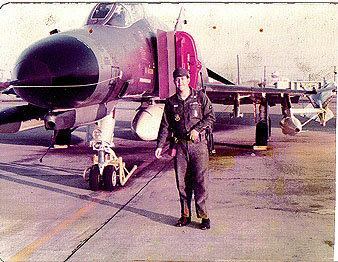 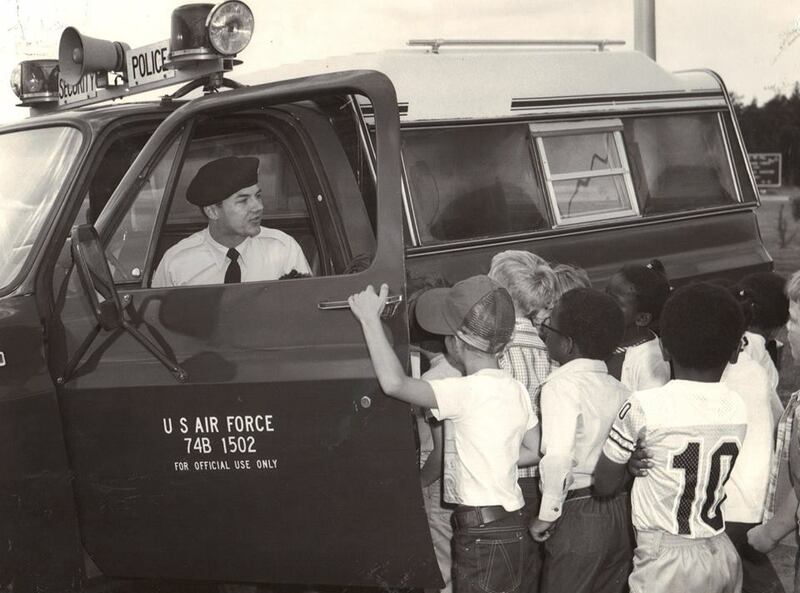 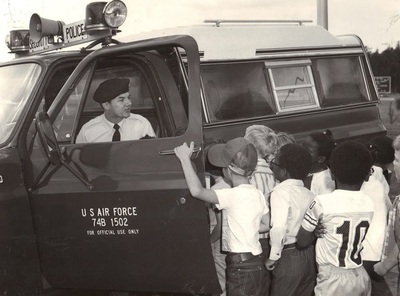 A transport pilot, Sadler flew 300 combat missions during the Korean War and served as a forward air controller in Vietnam. 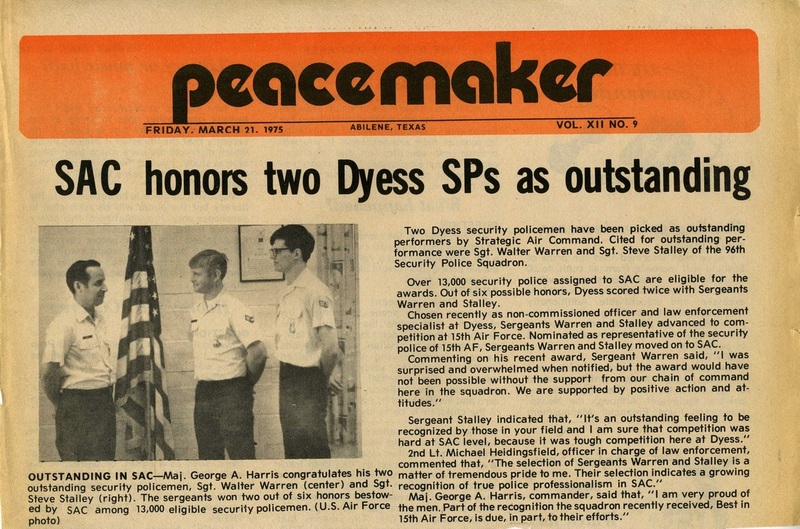 Jones wanted Sadler to change this situation, and to give him the authority to do so he implemented an organizational change that had long been sought as the Security Police directorate was detached from the inspector general’s organization and elevated to the Special Staff of the Air Force Chief of Staff. 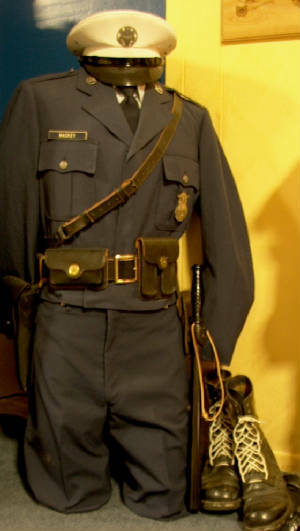 As part of this change, the director of Security Police became the Chief of Security Police (CSP). For the Chief of Staff, the realignment meant he had direct access to his “top cop” and more visibility into law enforcement and security issues. 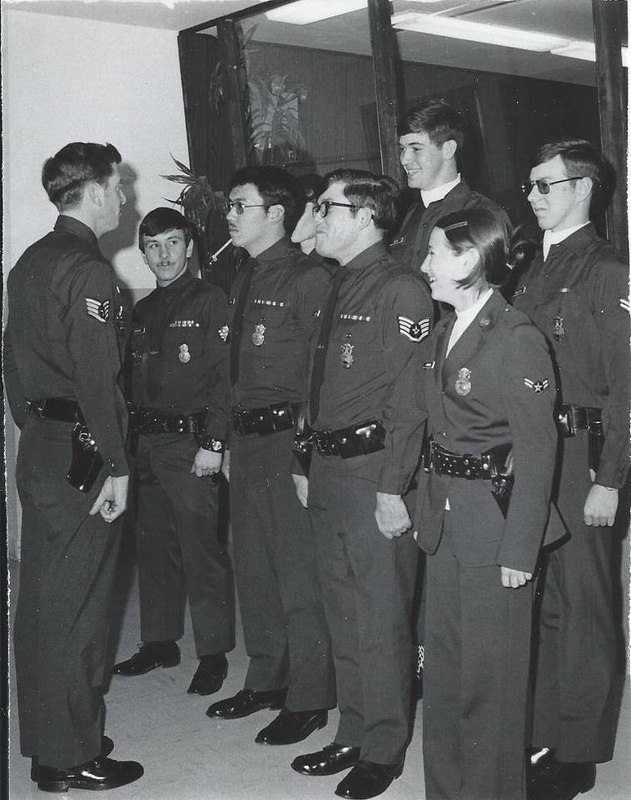 For the CSP it meant a “seat at the table” along with the 16 other senior staff members, affording him an opportunity for direct input into decisions affecting the career field. 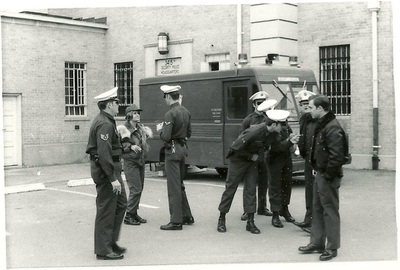 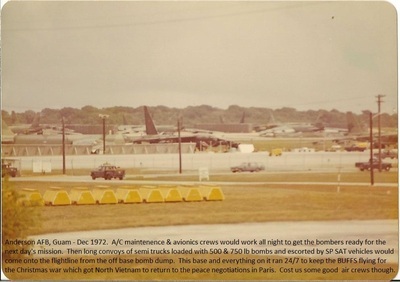 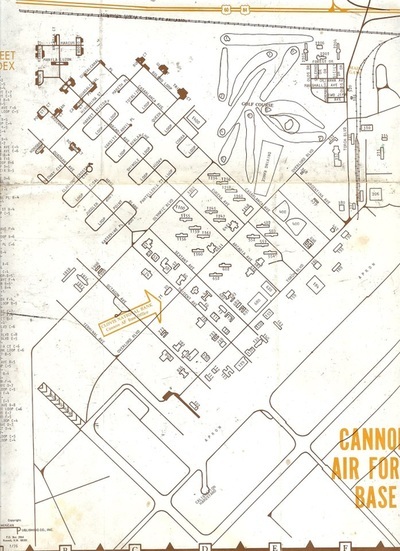 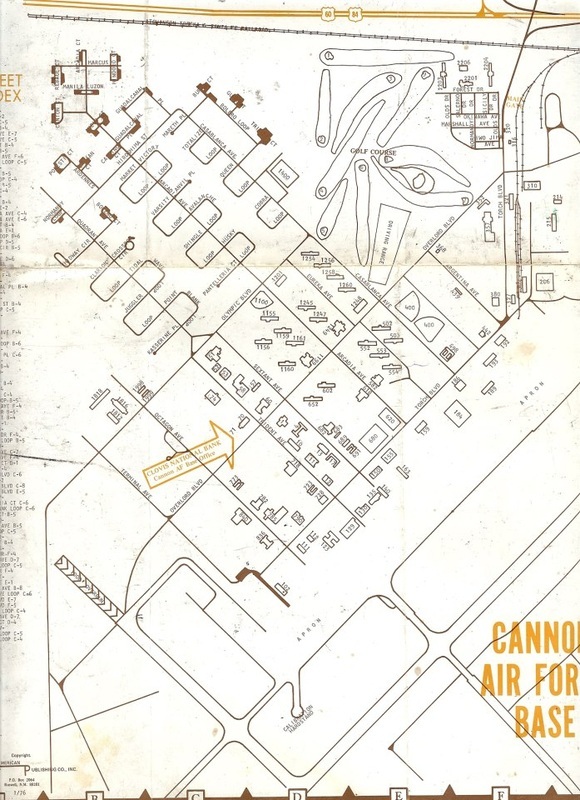 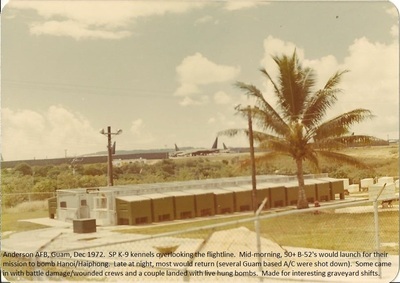 For the career field the change was recognition of its importance to the Air Force as its “best defense against rising crime rates and terrorist attacks against [its] more sensitive weapons systems.” As the headquarters moved out from under the IG it also physically relocated from the Forrestal Building on Washington’s Independence Avenue to the Maisey Building at Bolling AFB. Sadler was not shy about shaking things up to better the lot of his cops. 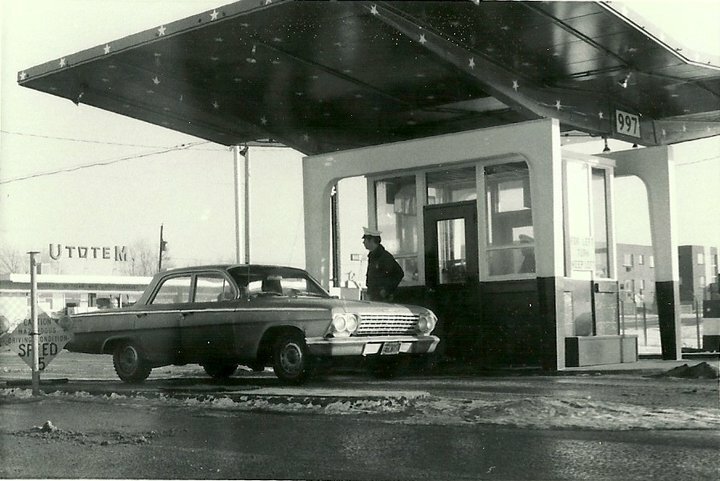 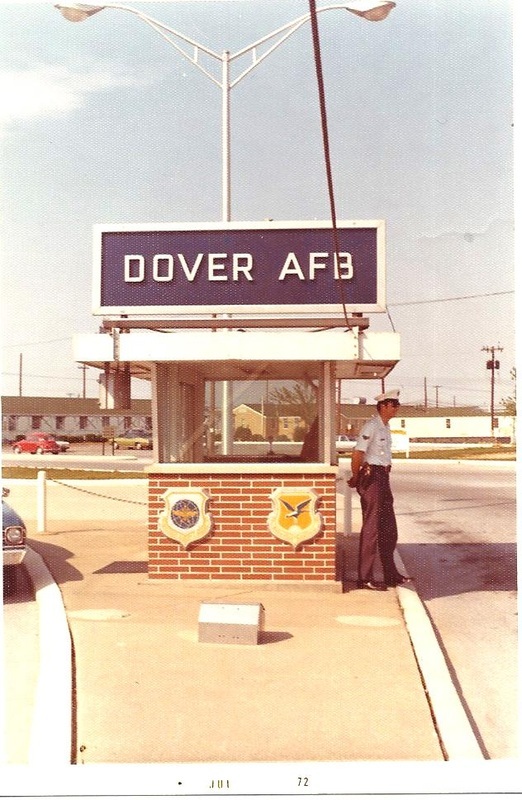 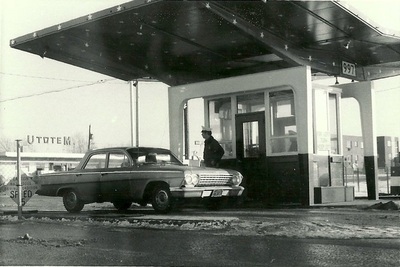 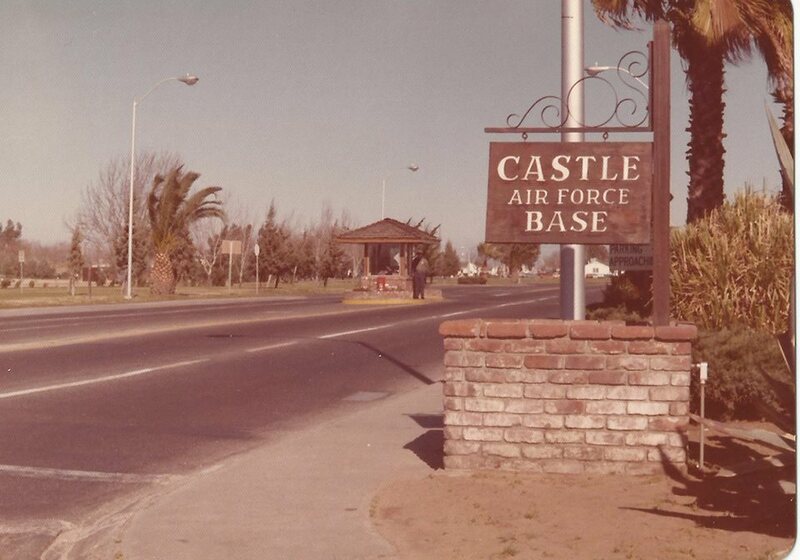 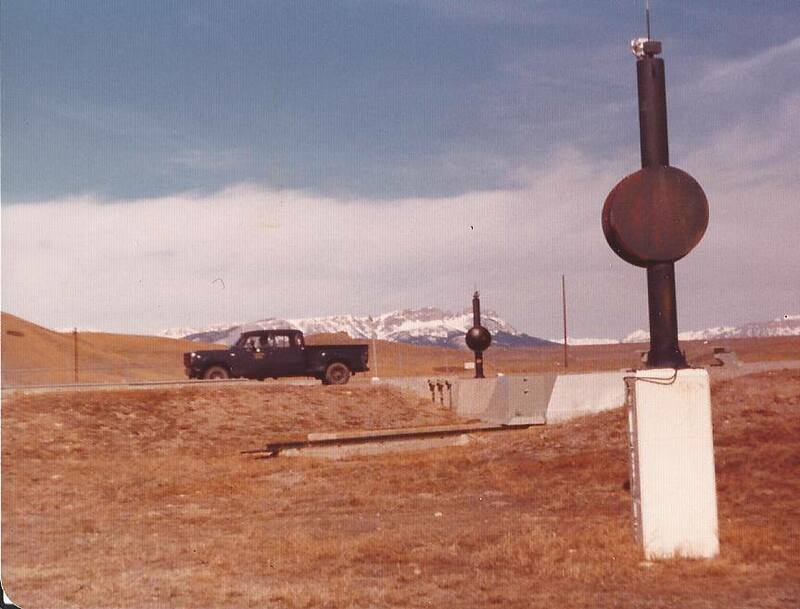 The night he drove onto Bolling AFB to take up his new duties, he noticed the gate guard was clad in a thin windbreaker in the chill March air. 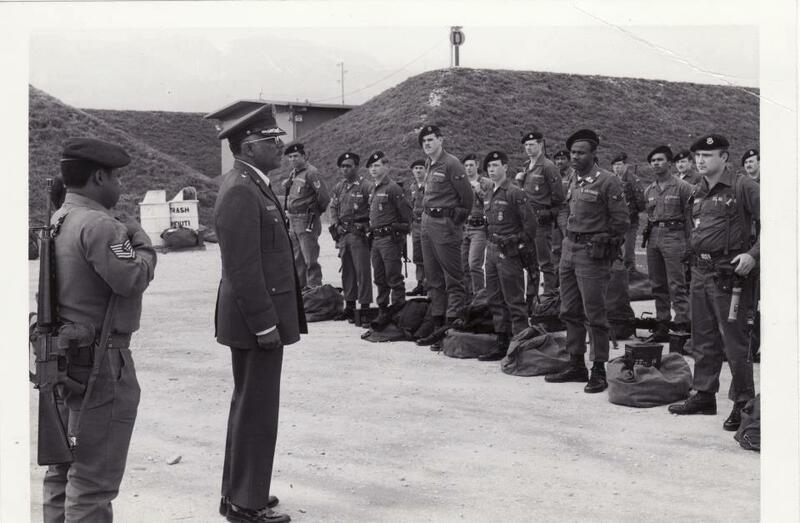 When questioned, the guard told the General this was the heaviest jacket he was issued. 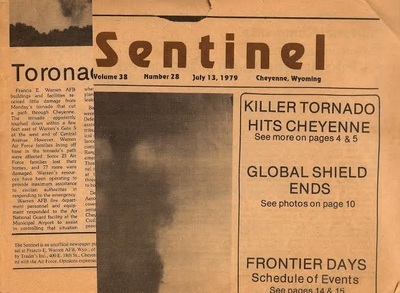 Sadler immediately phoned the base commander and the SP flight commander. 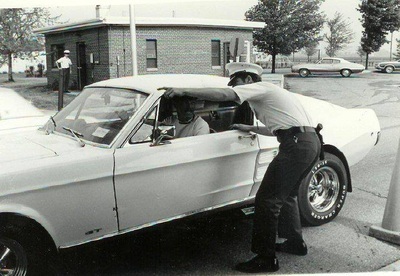 “Jackets,” Sadler told them. 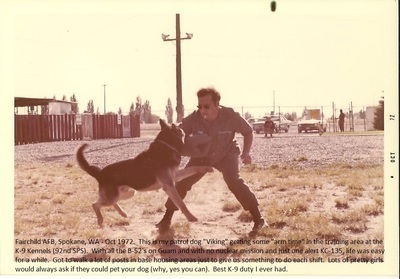 “We don’t have them…You will get them” and they did. His challenge was changing the way things had been to the way they should be. 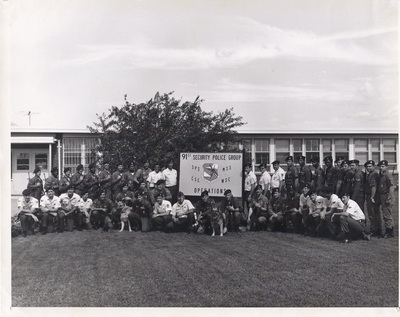 Sadler would preside over many changes in the career field all with the goal of making things as they should be. 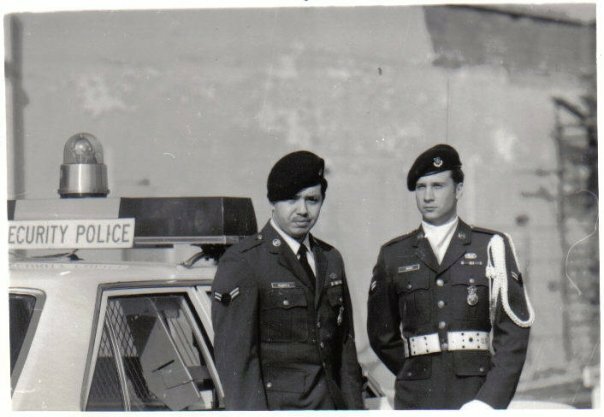 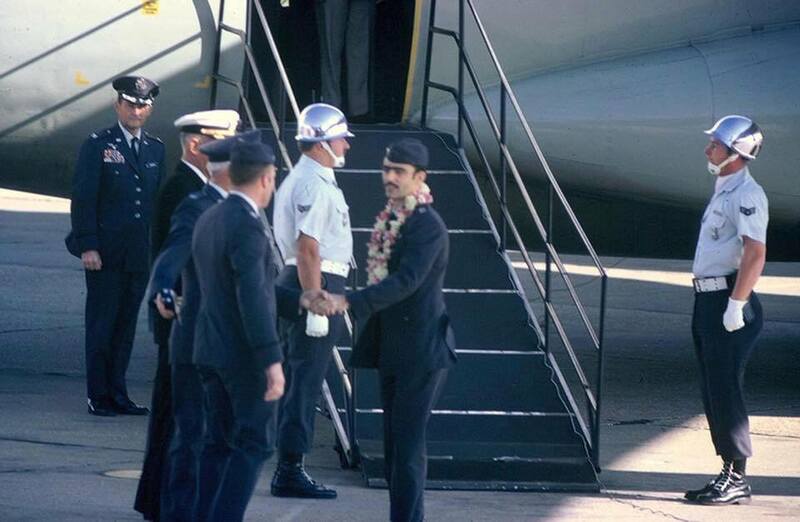 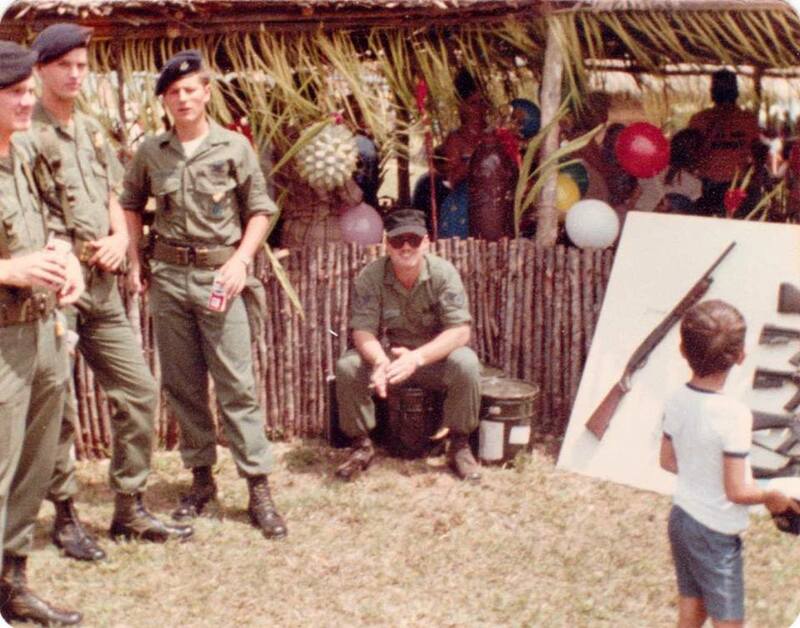 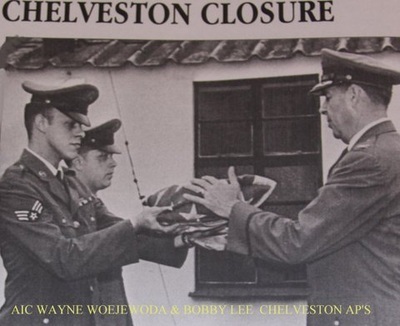 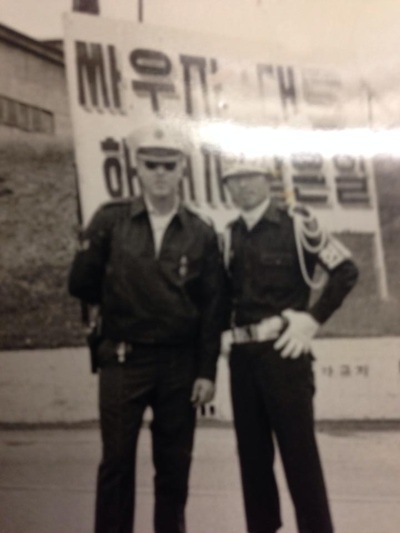 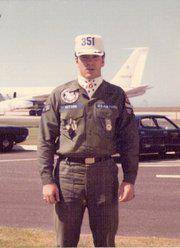 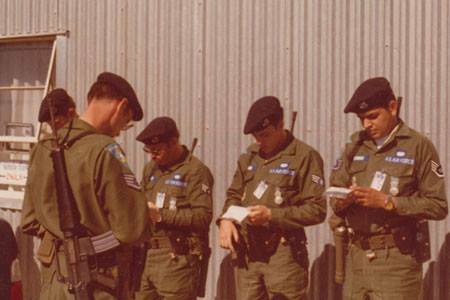 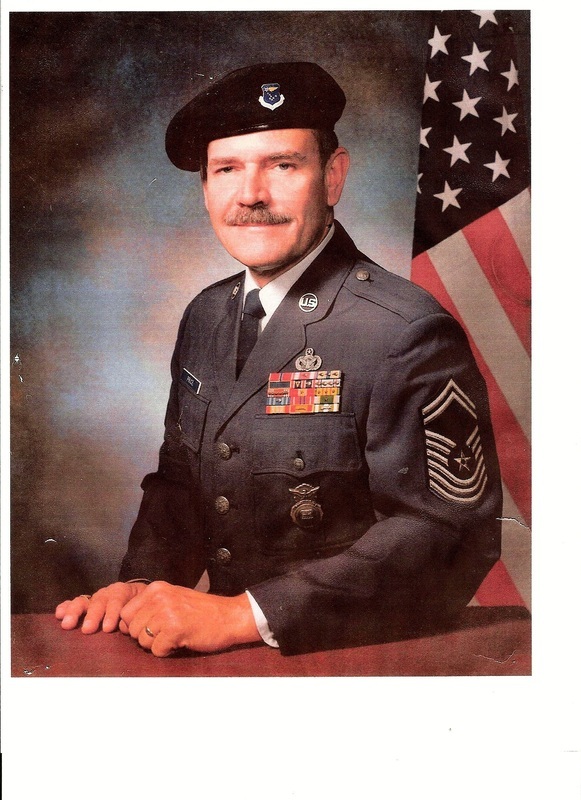 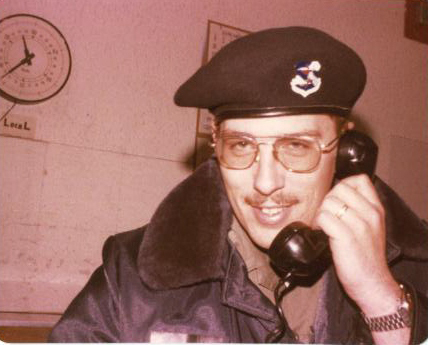 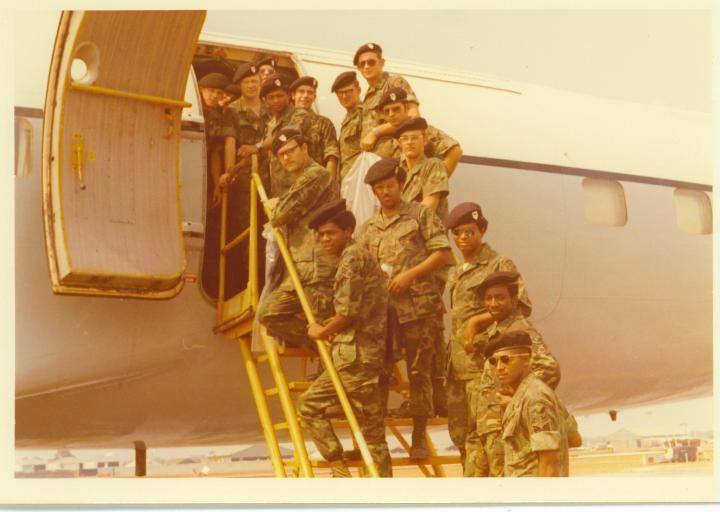 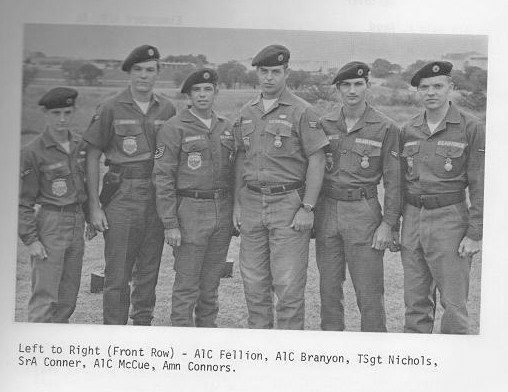 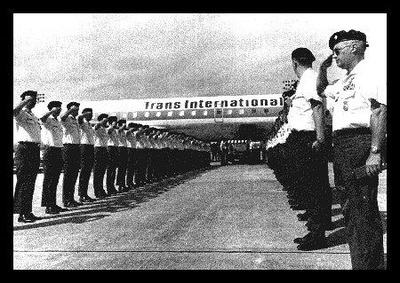 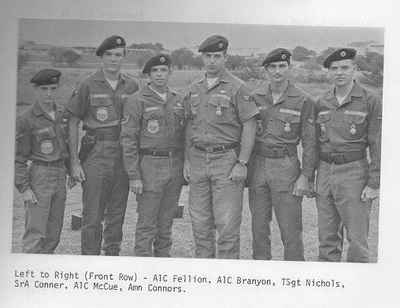 One of the first changes was the replacement of the white hat with the blue beret in March 1975. 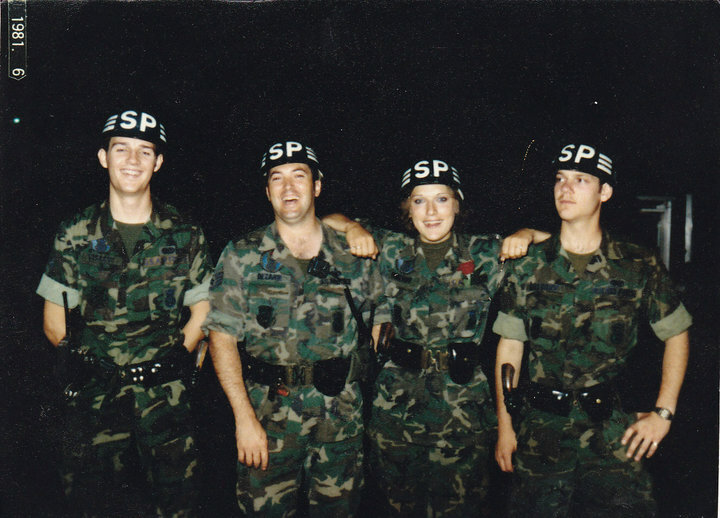 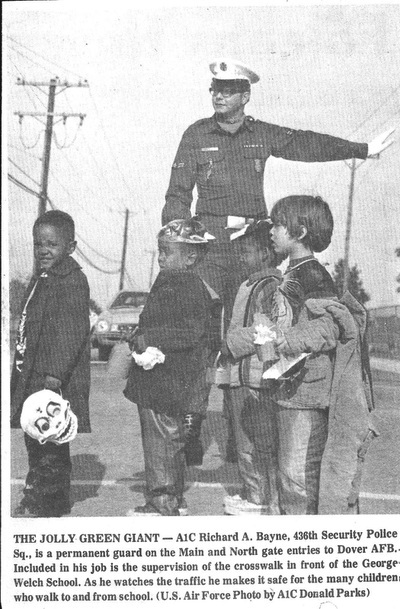 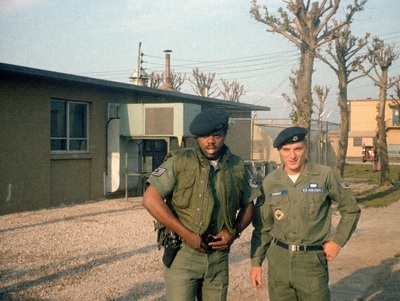 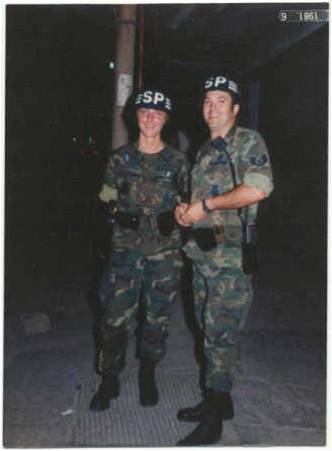 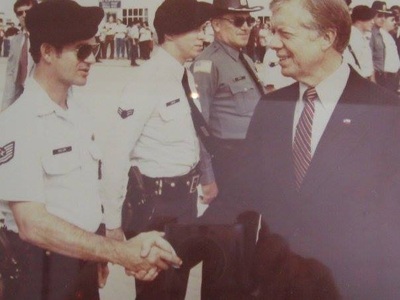 Although approved during Carter’s tenure, the beret was one of several efforts to improve both the image and the morale for the Security Police implemented or initiated by Sadler. 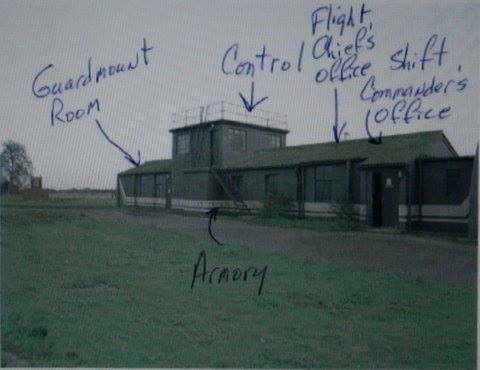 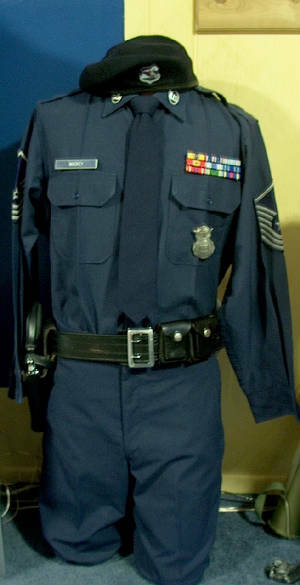 The berets were dark blue with an enameled metal MAJCOM crest and were soon complemented by a short Air Force blue jacket designed especially for the Security Police. 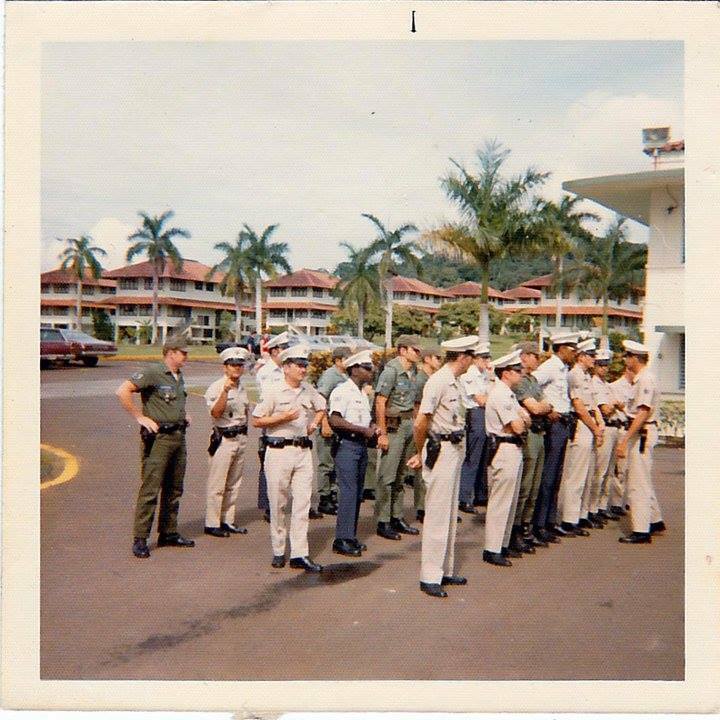 At the same time the khaki shade 1505 uniforms were replaced by blue trousers and light blue shirts. 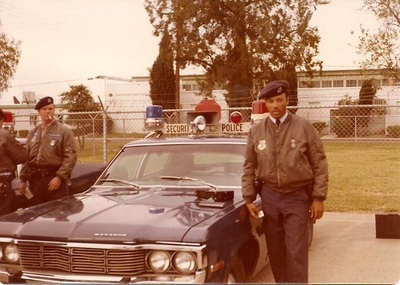 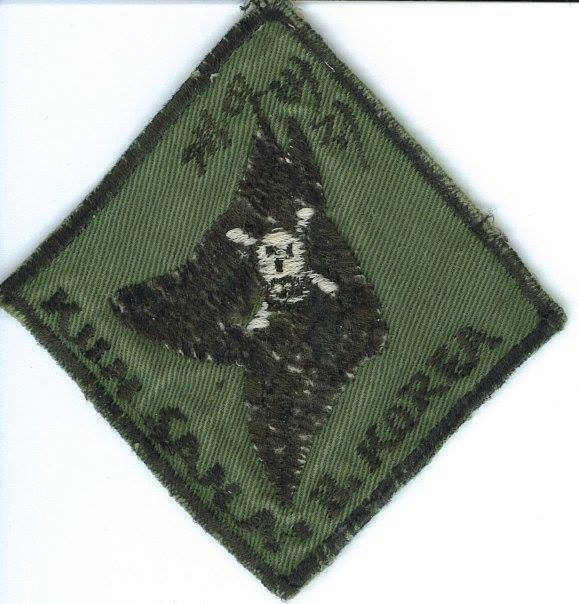 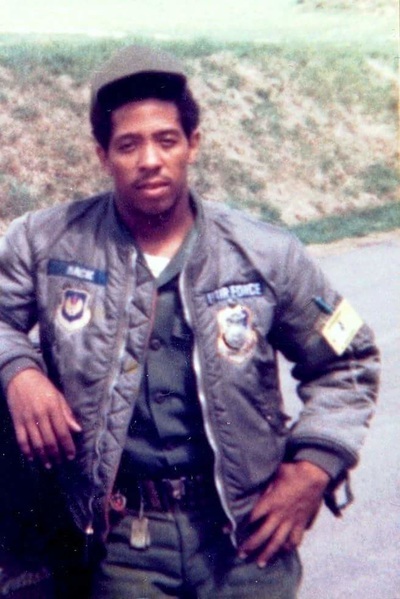 By year’s end Gen Jones also approved a Security Police qualification badge. 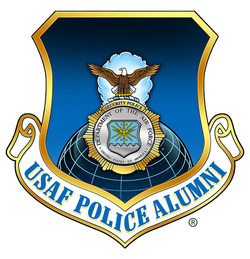 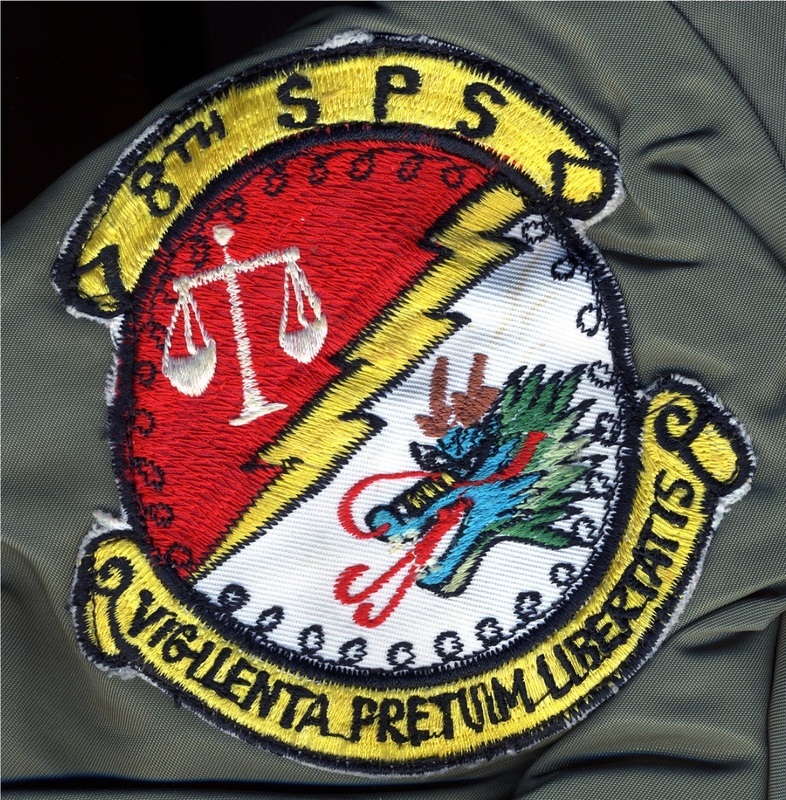 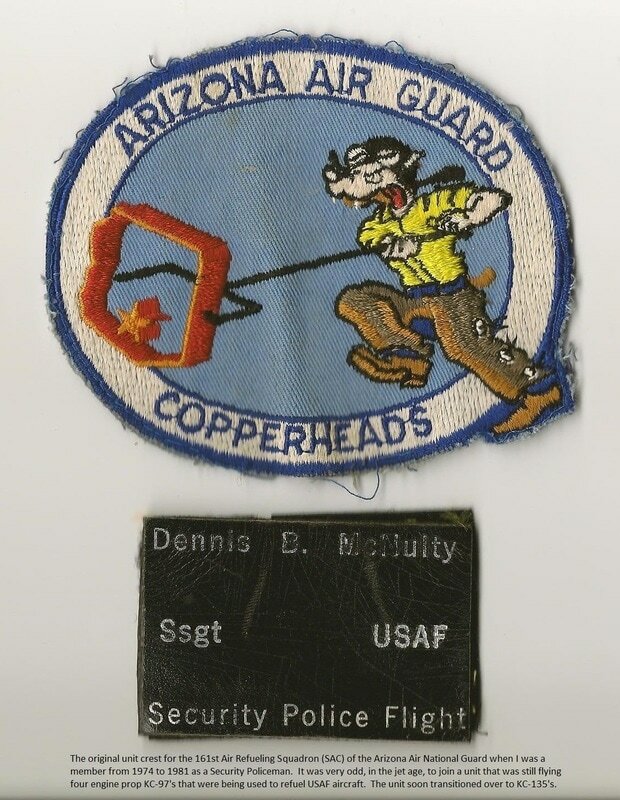 Originally suggested by a security policeman at Patrick AFB, Florida, in the mid-1960’s, the badge was designed by the Army Institute of Heraldry in 1971 and featured the Air Force eagle surrounded by a sunburst and wreath. The badge came in three classes: basic (two years SP service); senior (7 years); and master (15 years). The senior classification was indicated by the addition of a star surmounting the sunburst and that of master by a star surrounded by a wreath. 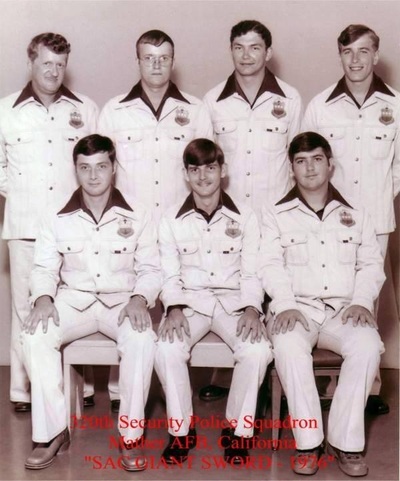 The self-image of the Security Police was definitely helped by the decision in June 1975 to stop the practice of issuing SP shields at the beginning of a shift and retrieving them at the end. 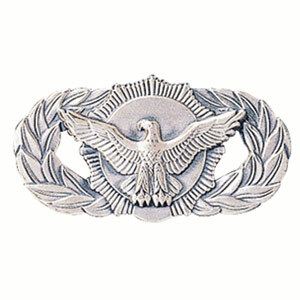 From now on each shield was permanently issued to its wearer and was worn at all times when in uniform. 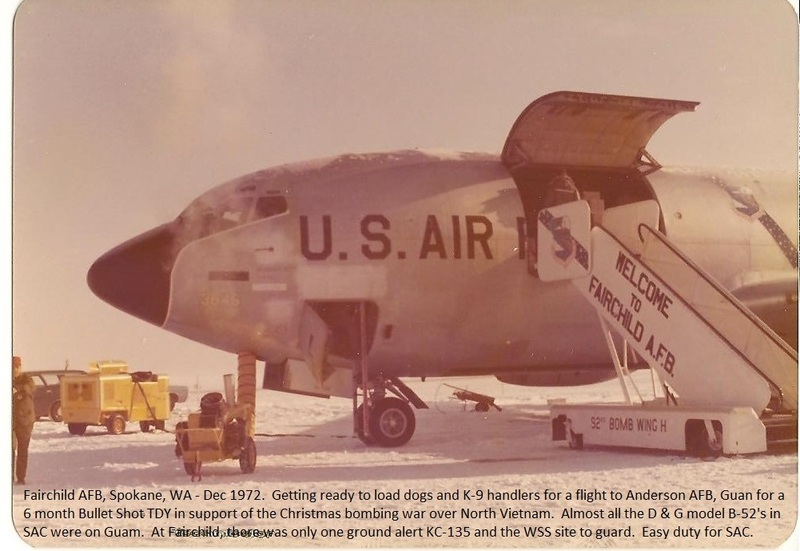 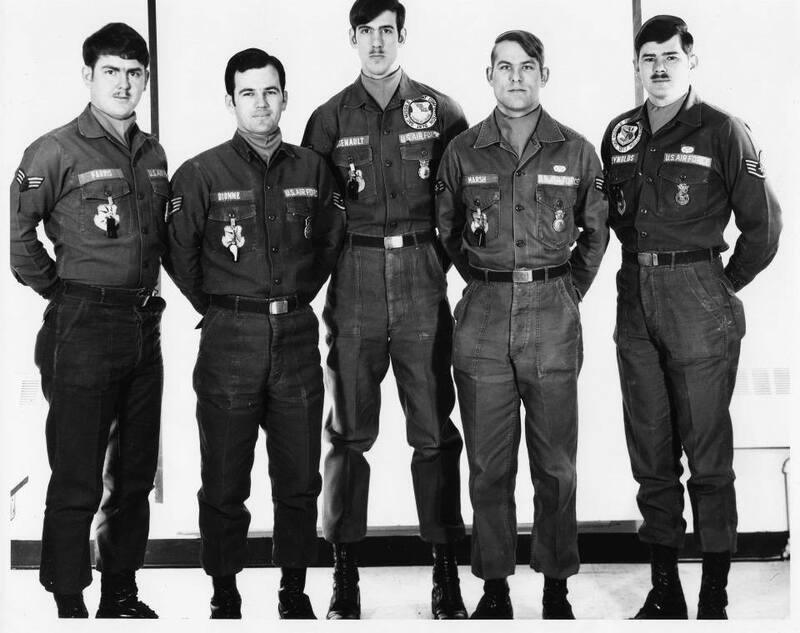 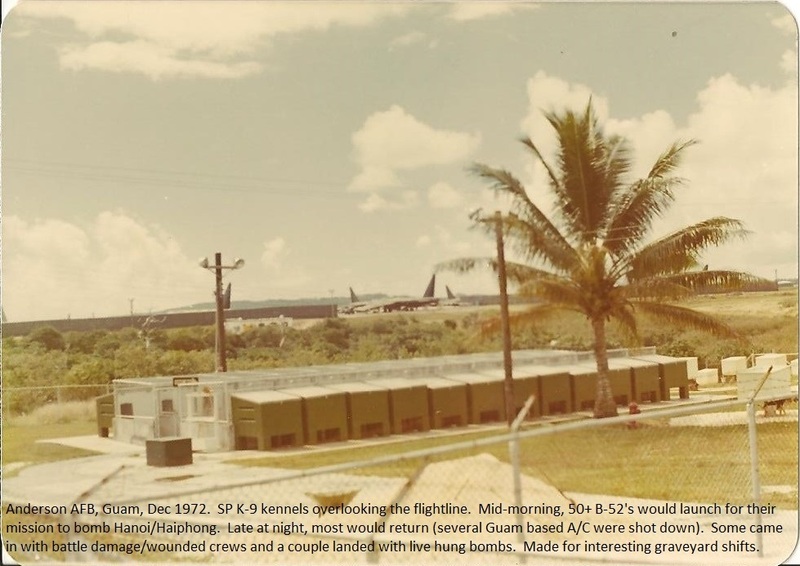 Because of this, Sadler advised squadron commanders to select for this duty only personnel who met high standards of “courtesy, appearance” and exhibited an “ability to follow standard procedures."